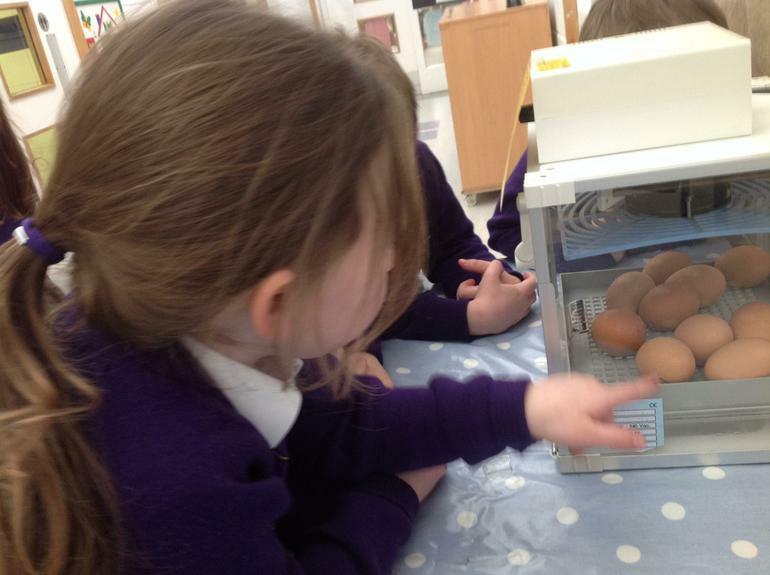 We received a very special delivery this week – a batch of hen’s eggs for us to look after! 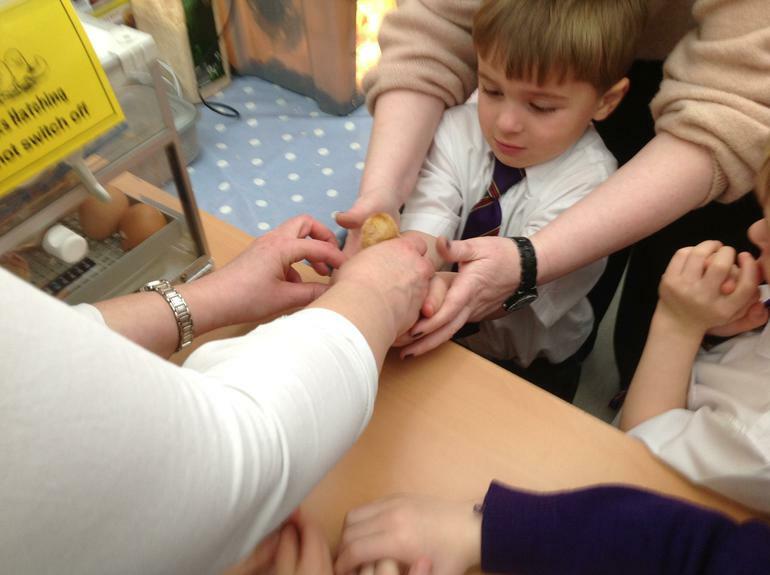 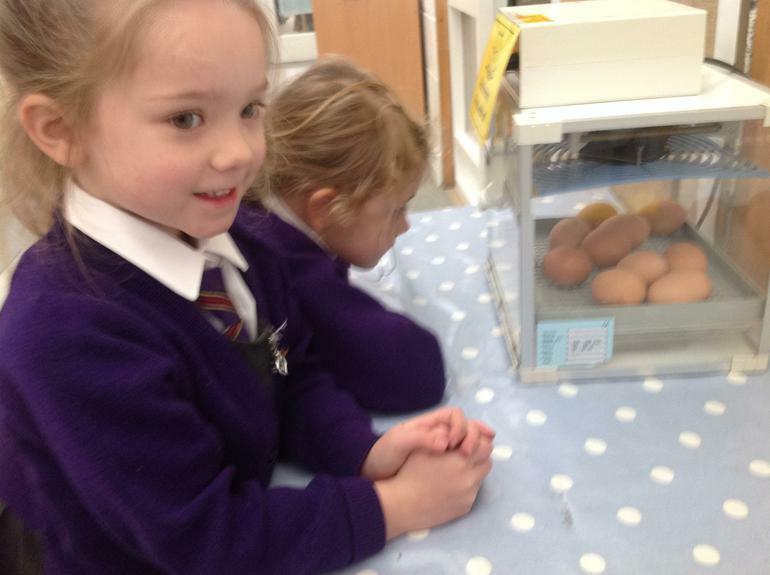 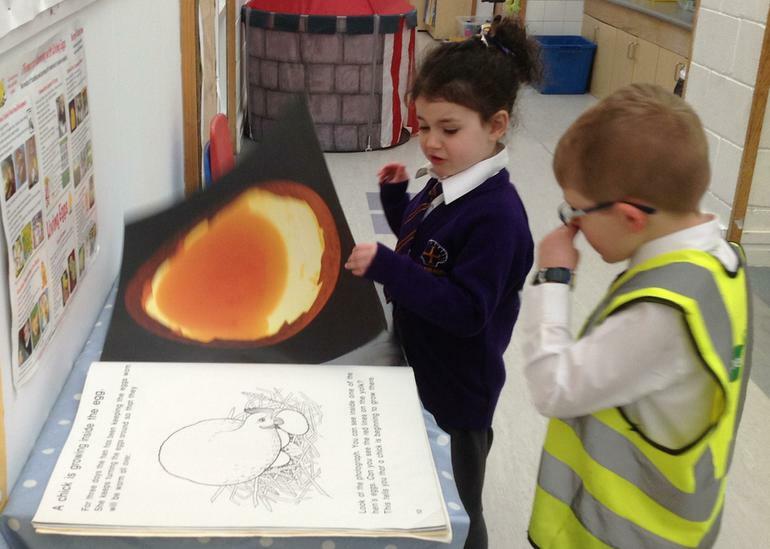 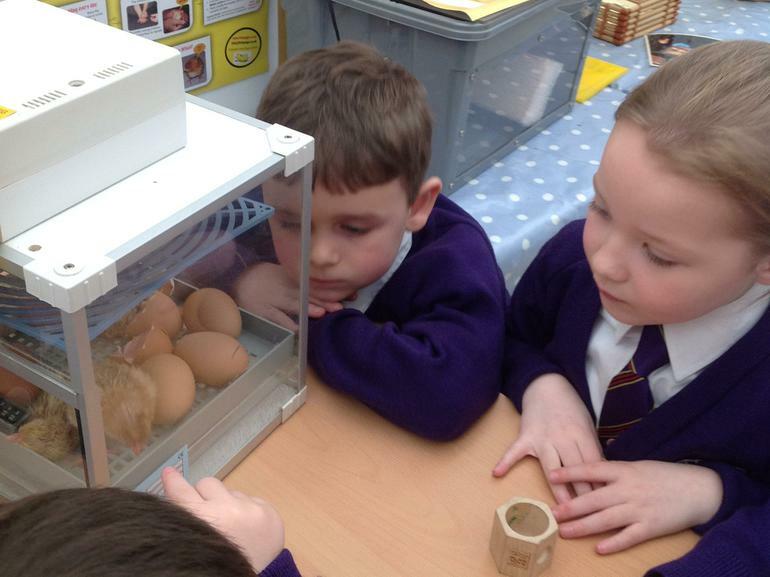 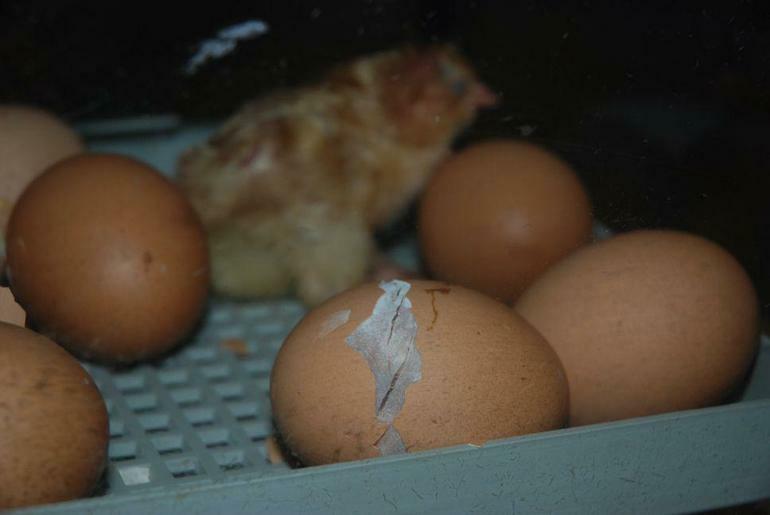 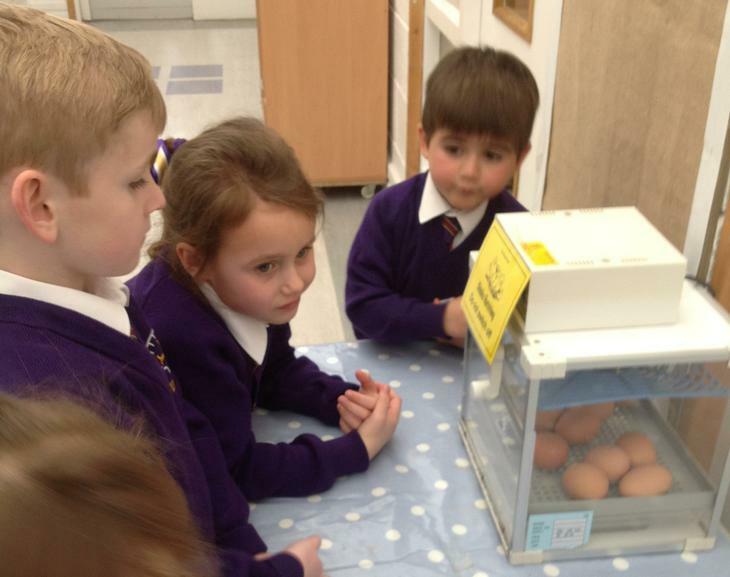 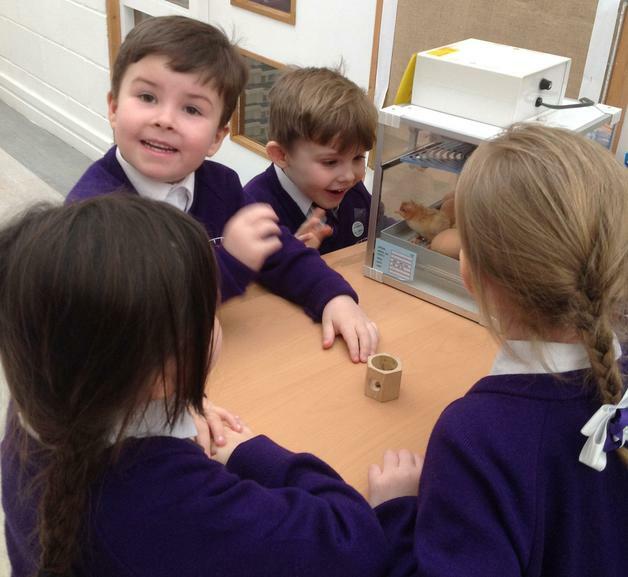 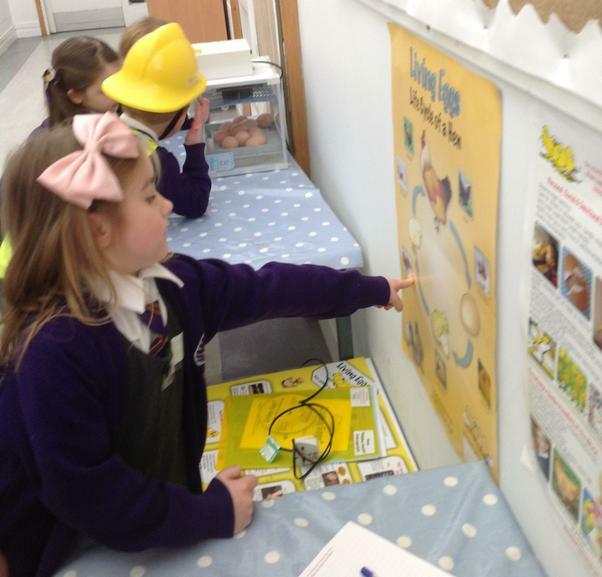 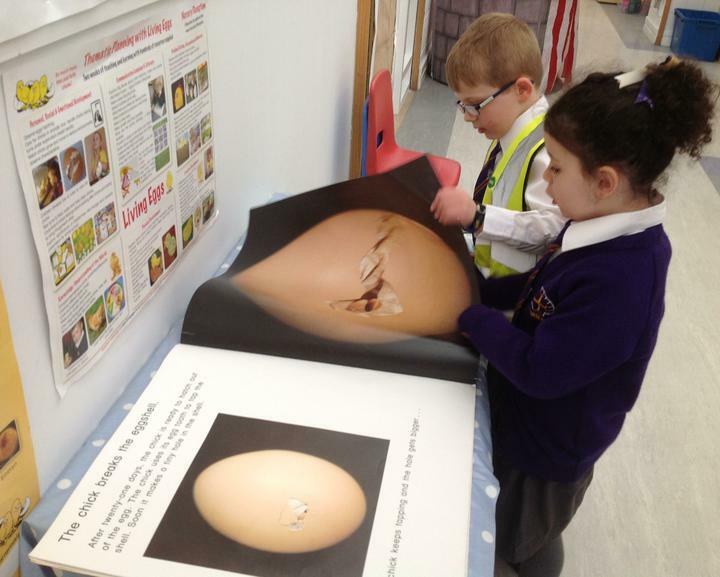 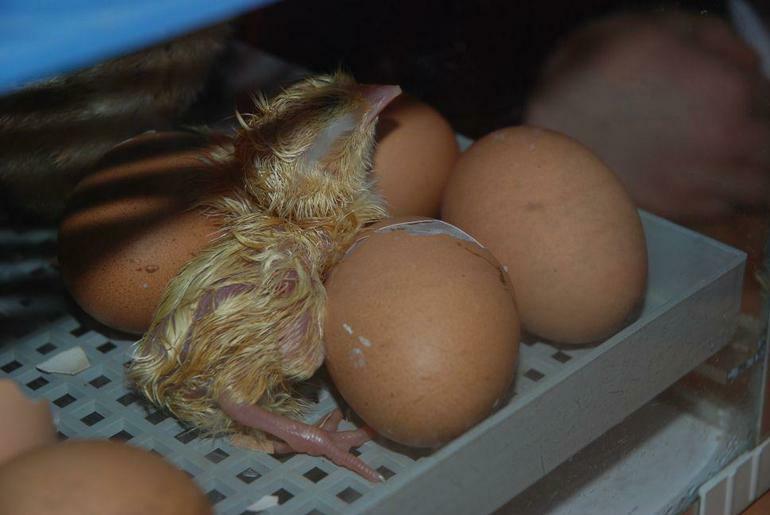 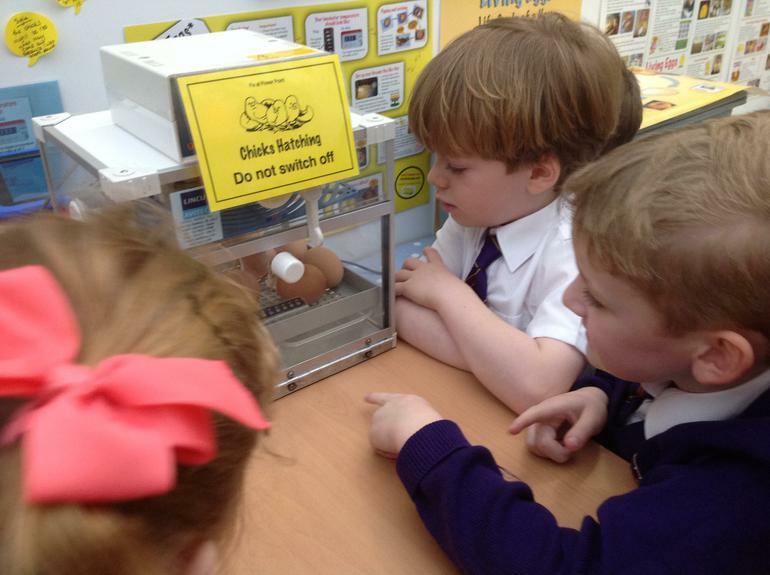 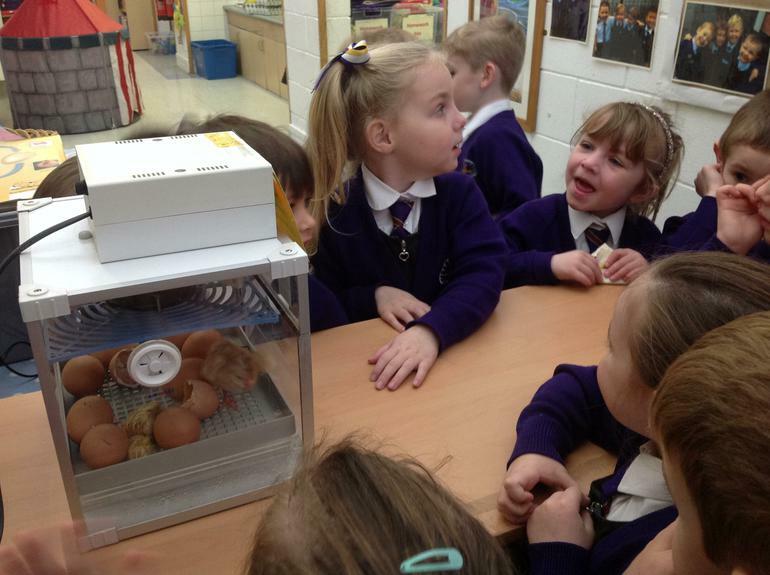 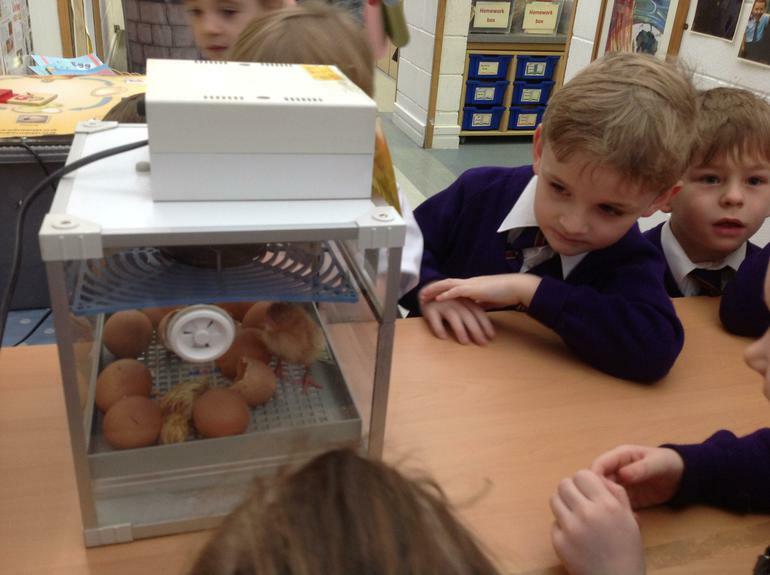 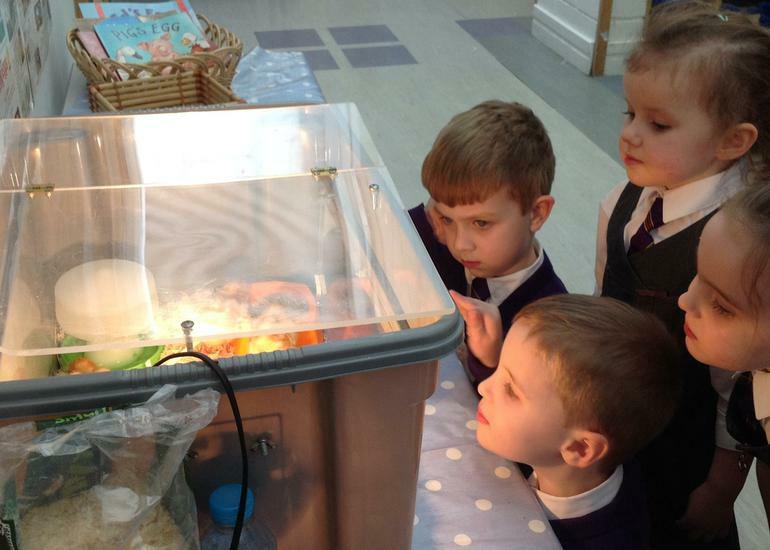 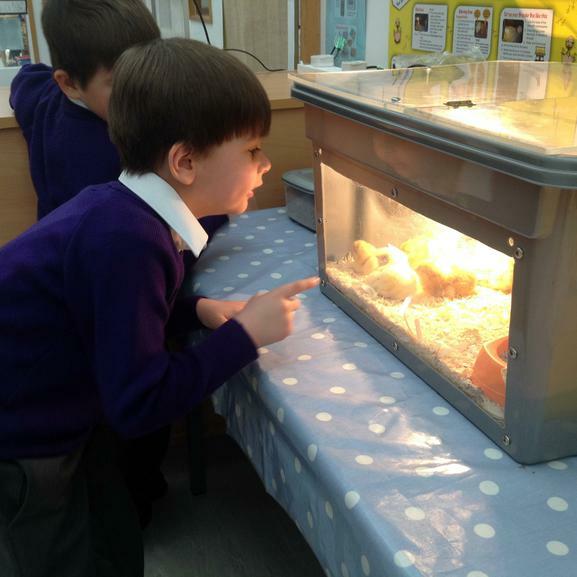 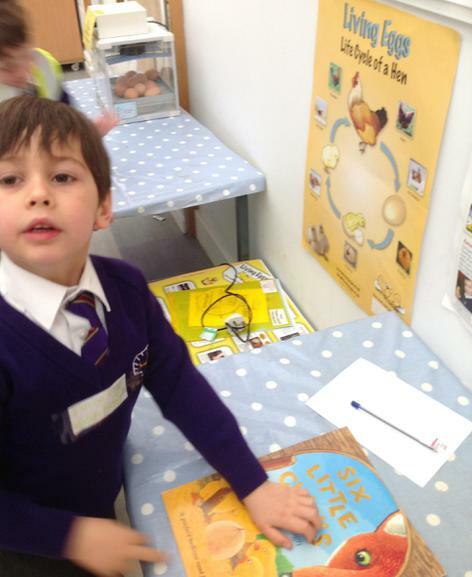 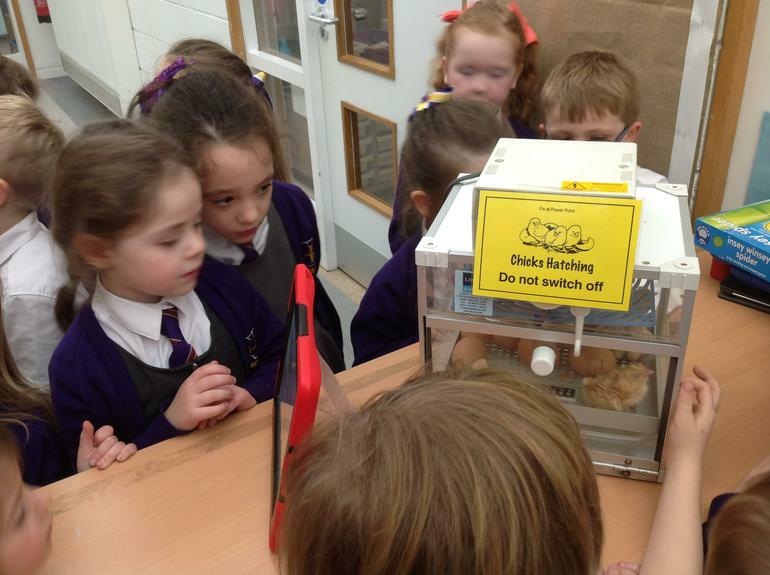 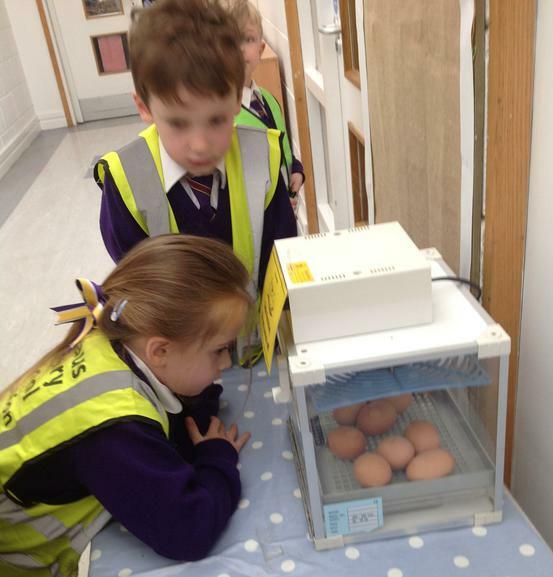 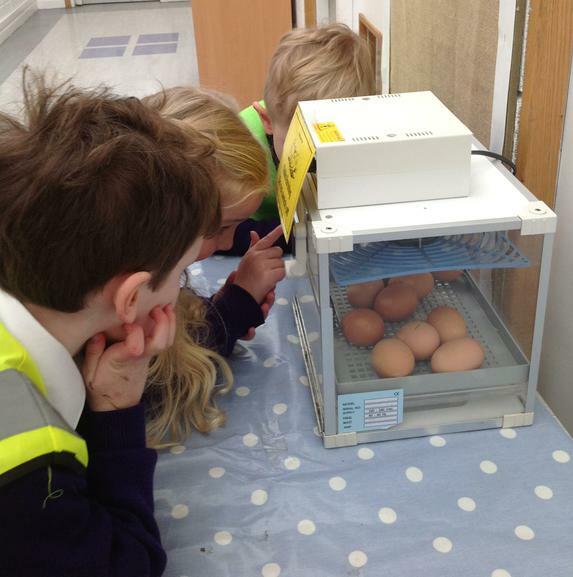 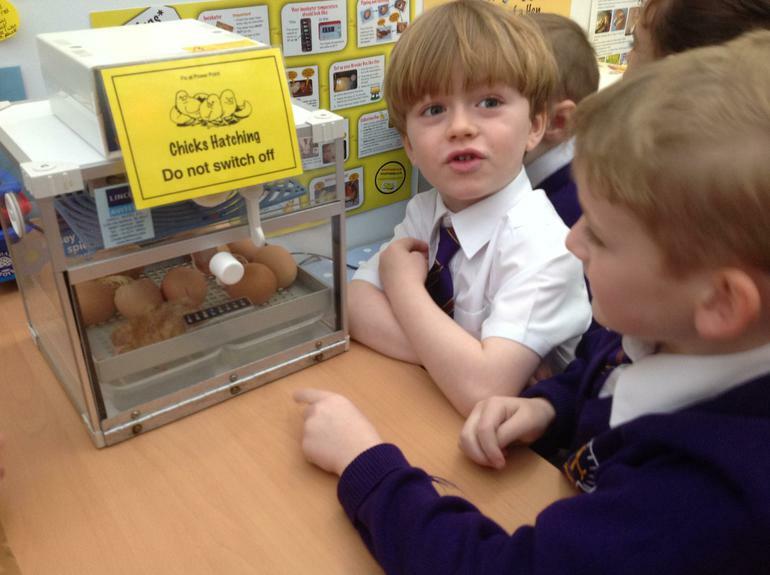 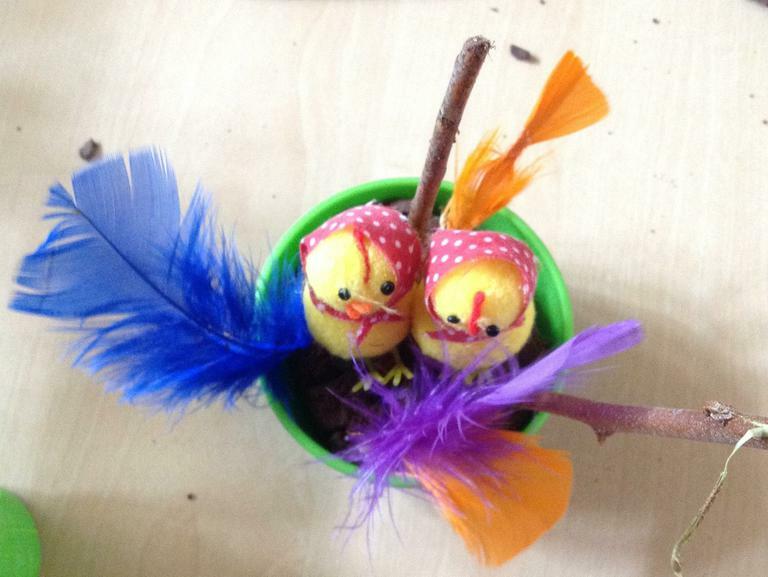 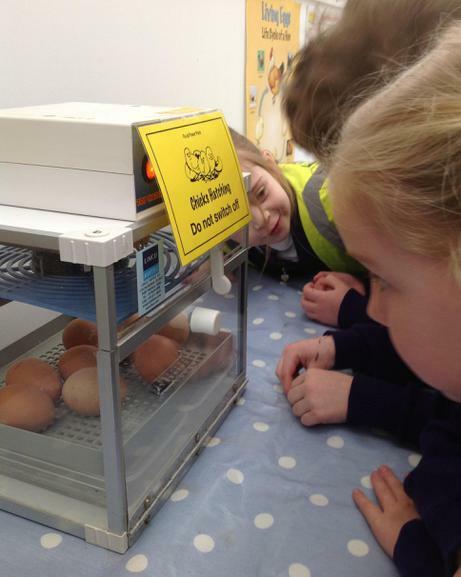 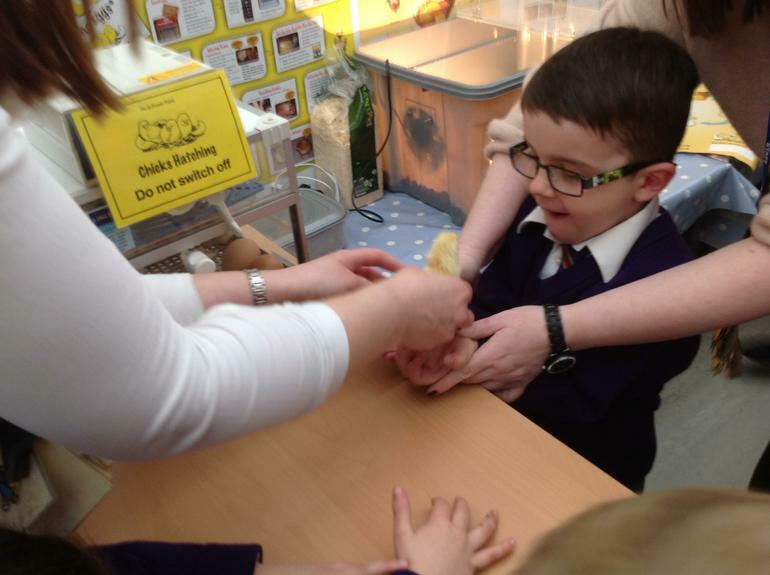 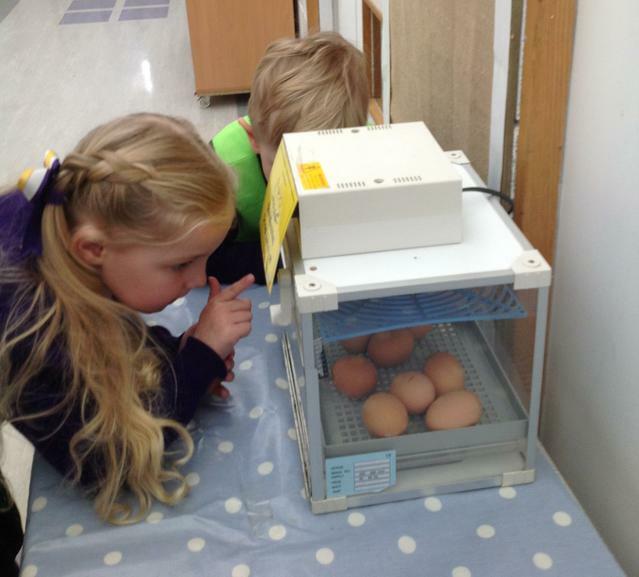 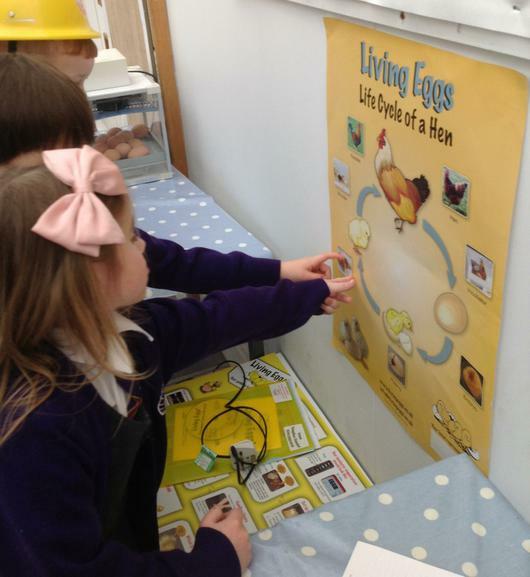 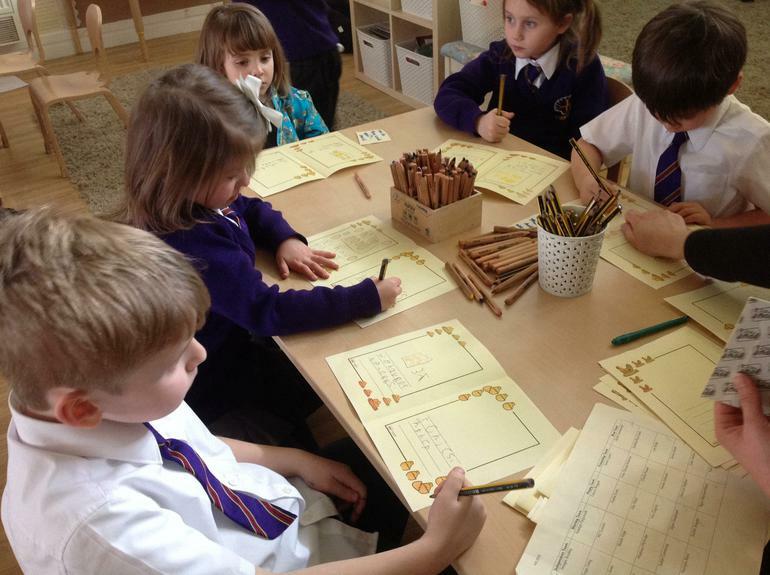 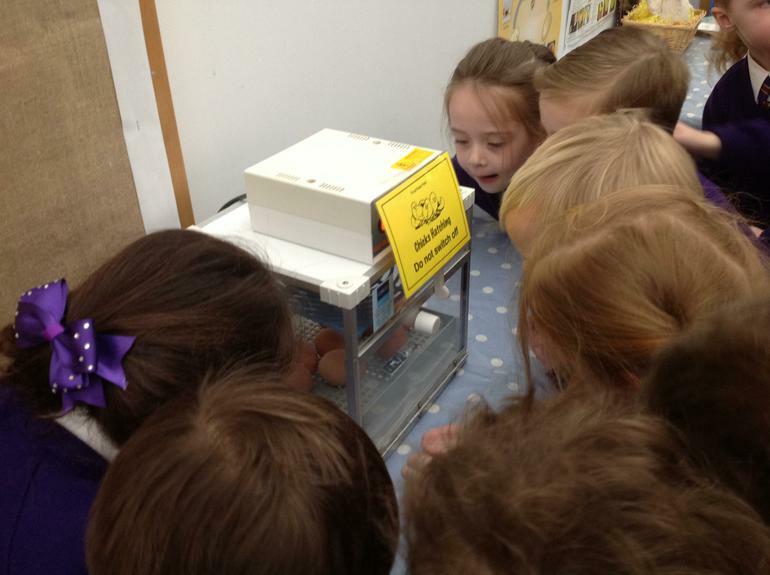 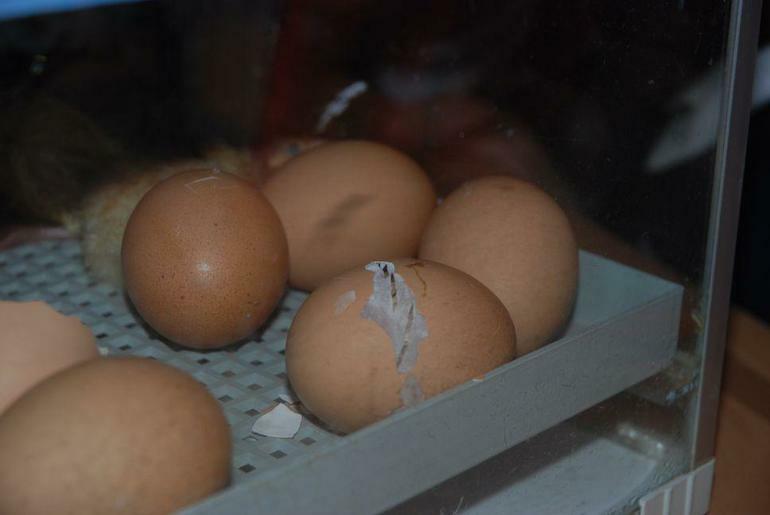 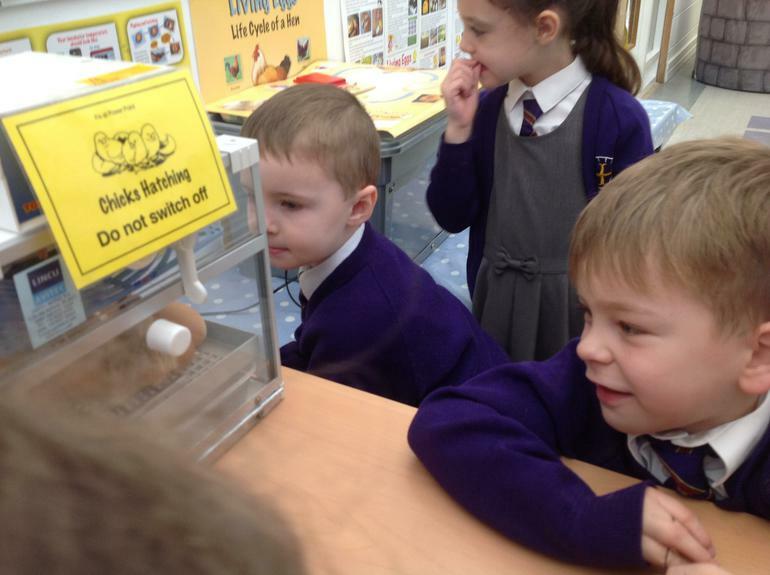 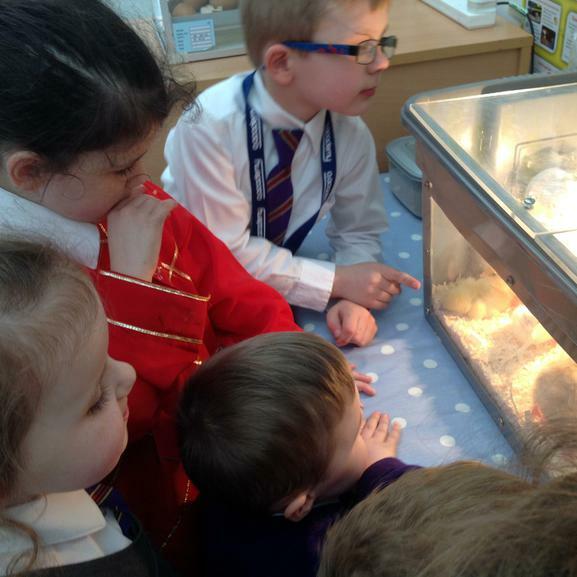 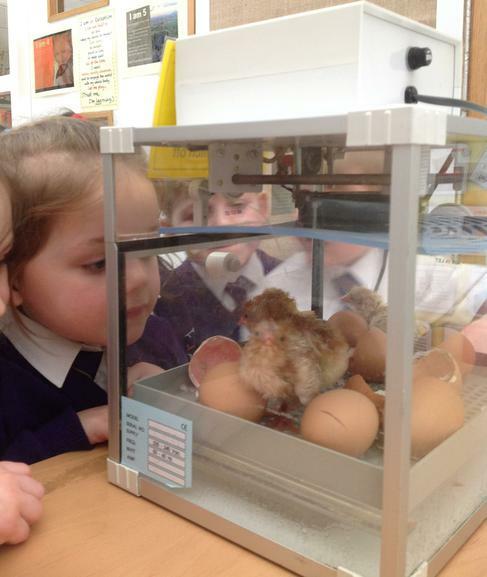 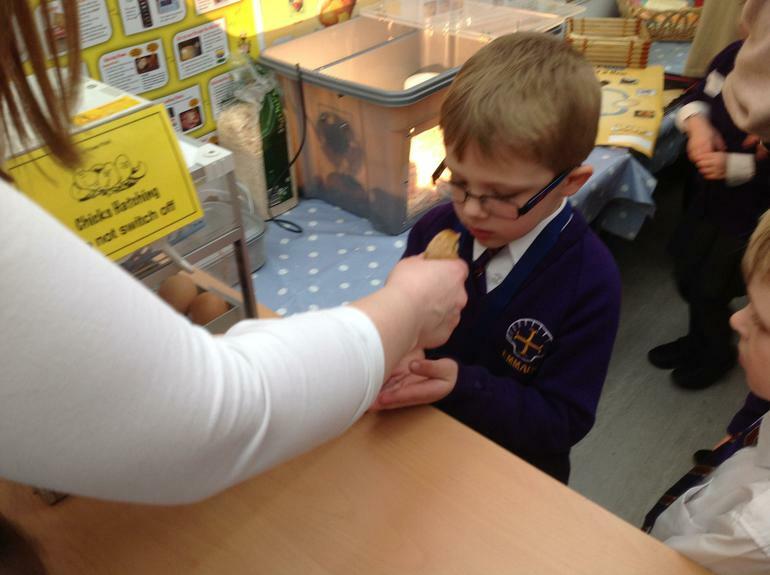 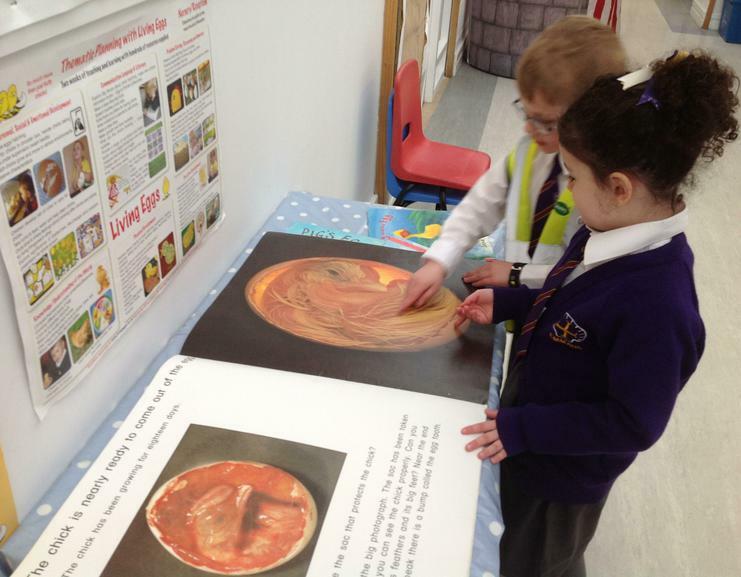 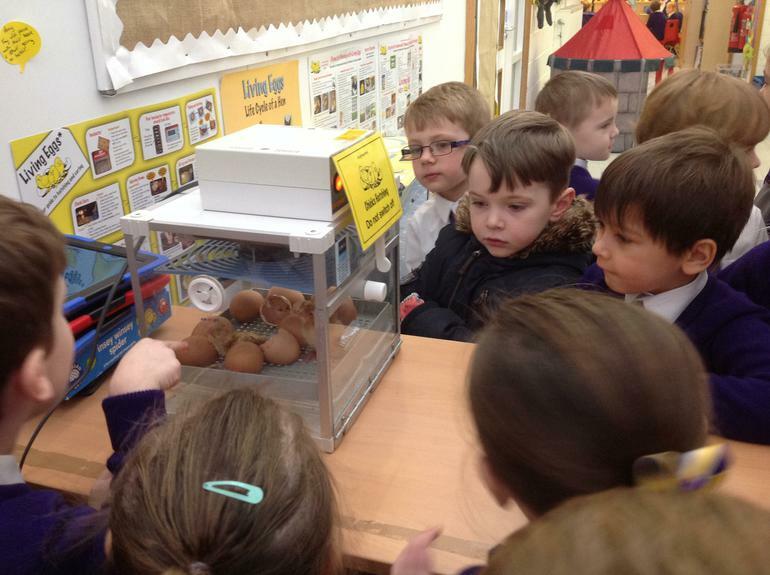 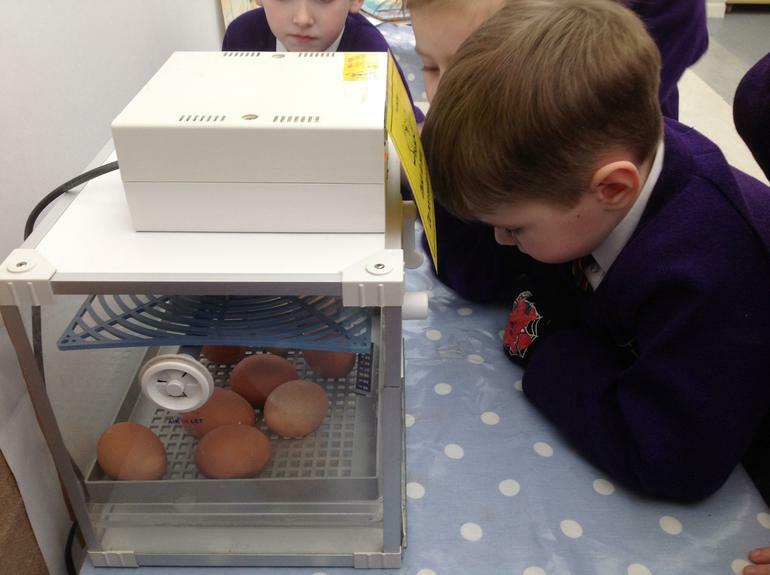 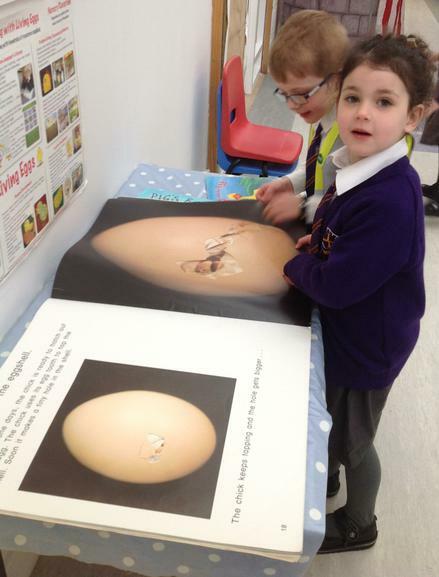 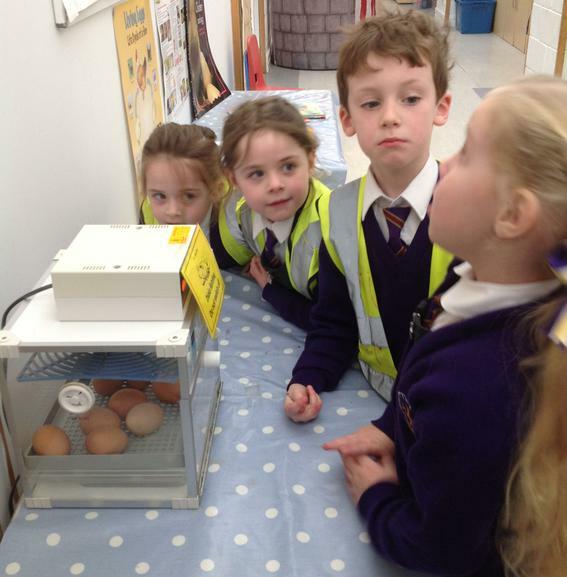 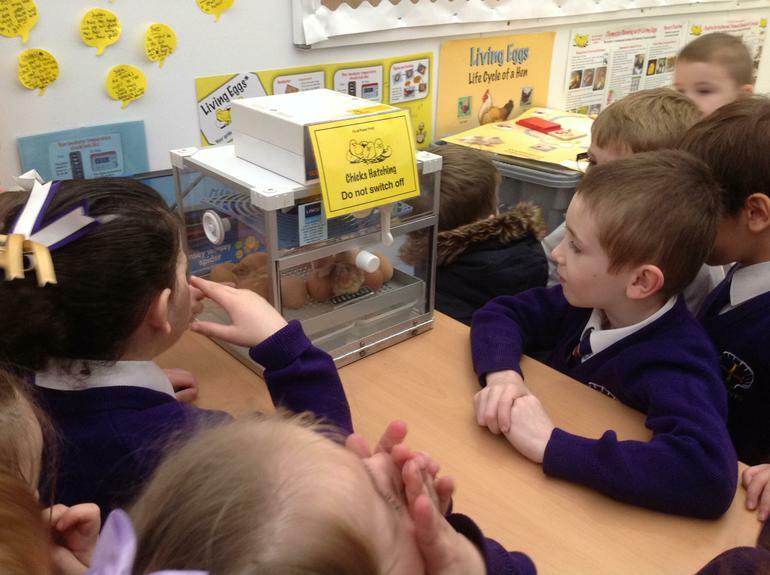 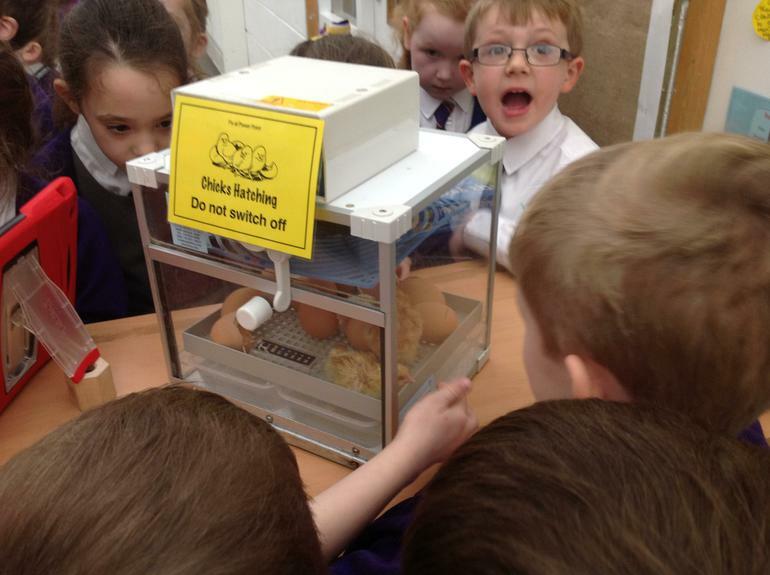 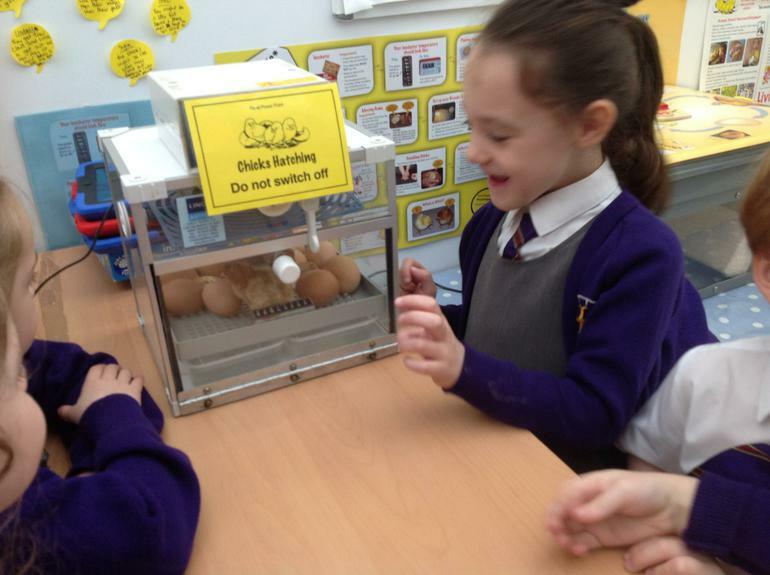 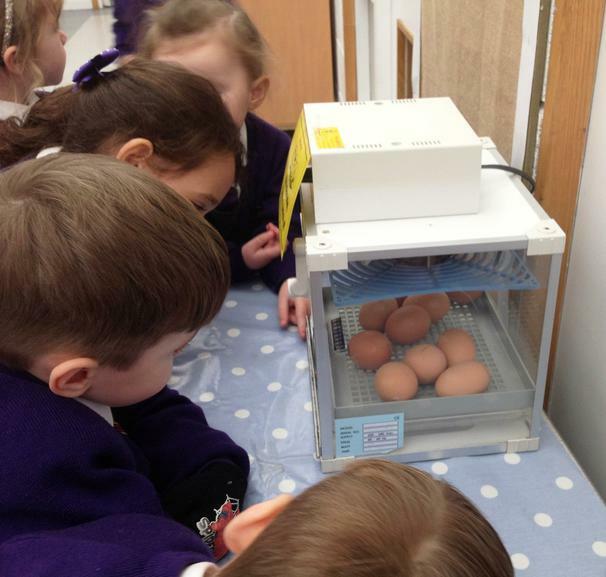 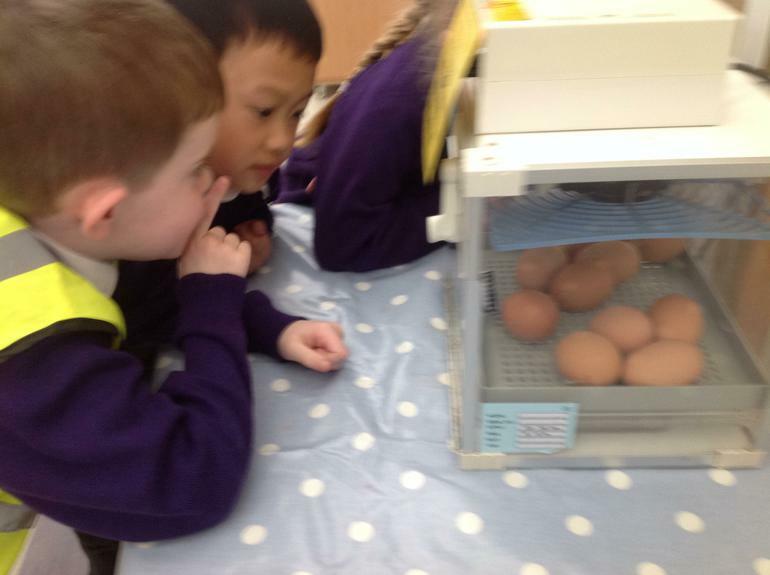 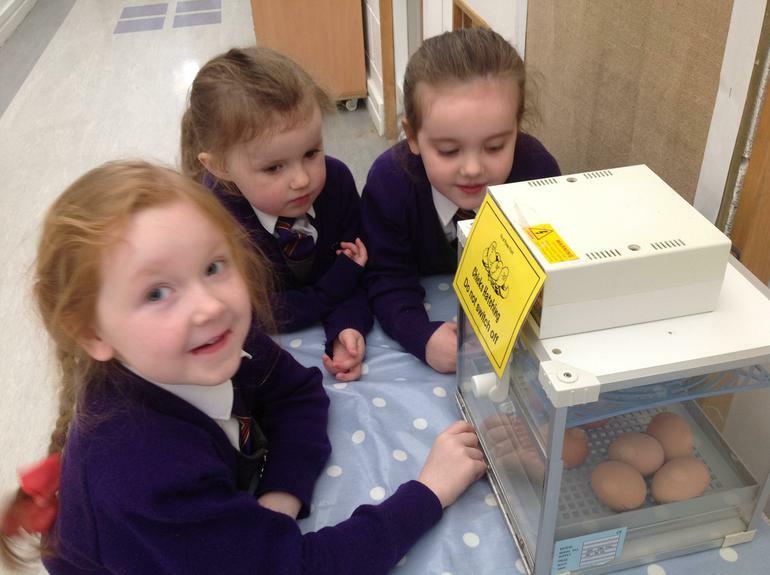 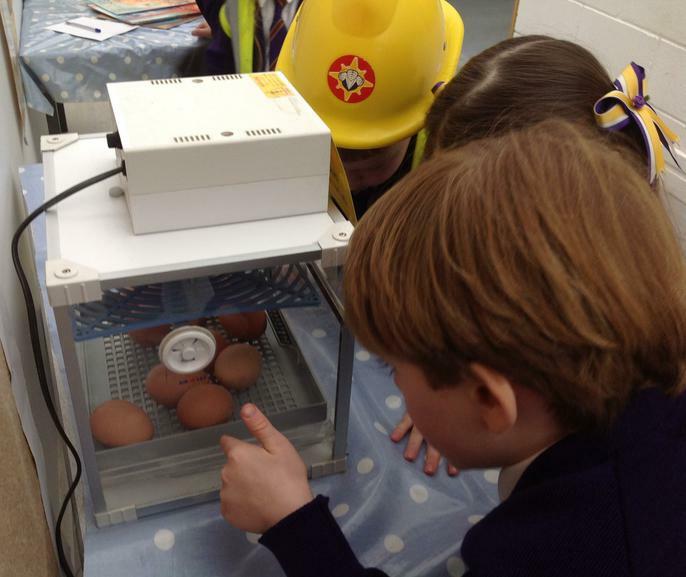 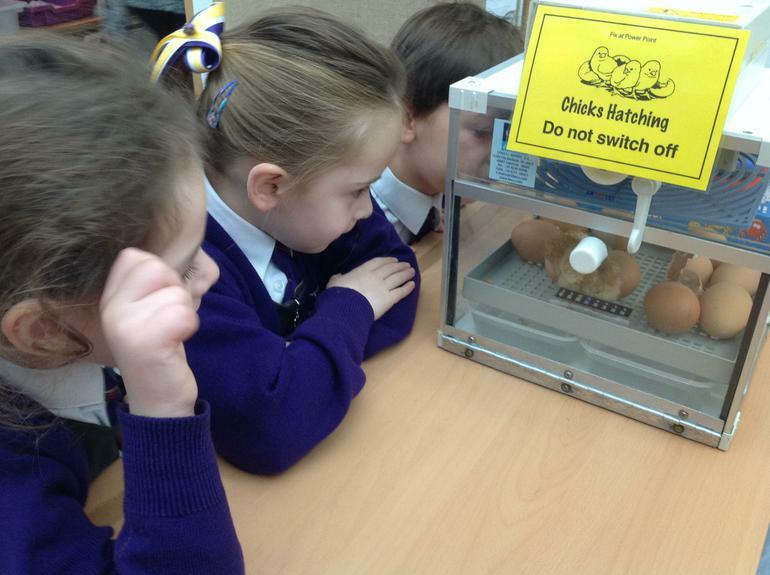 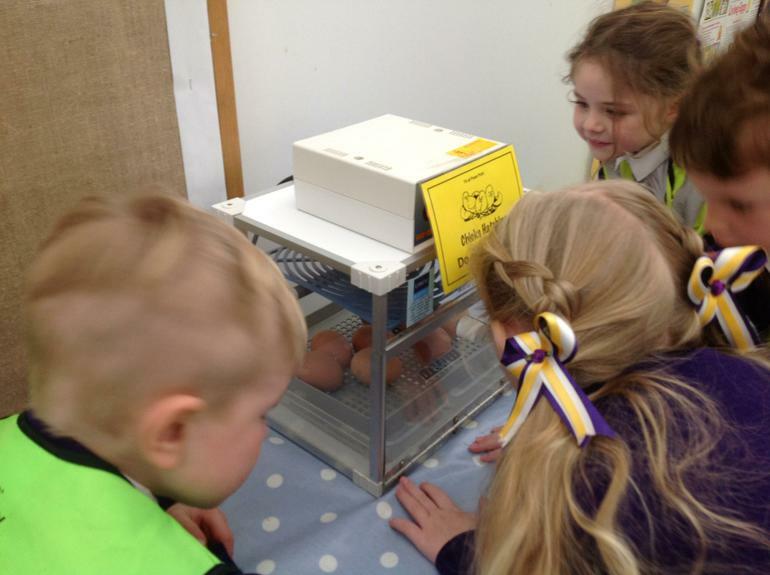 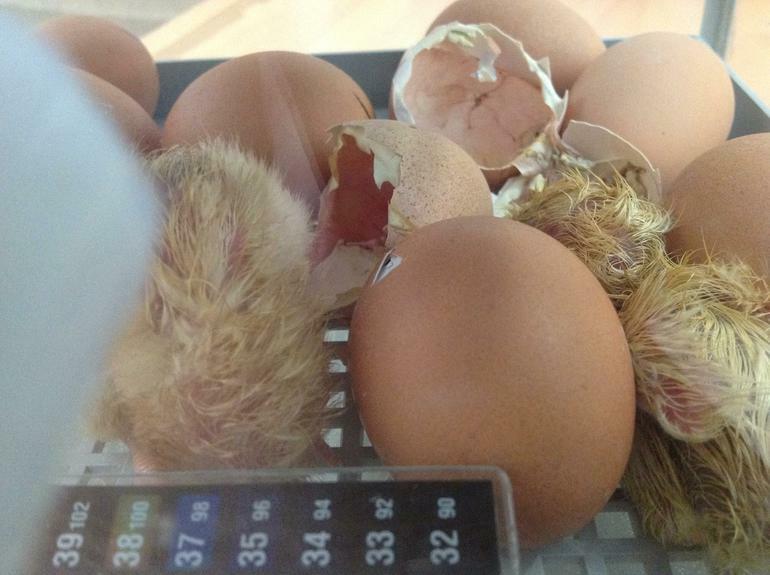 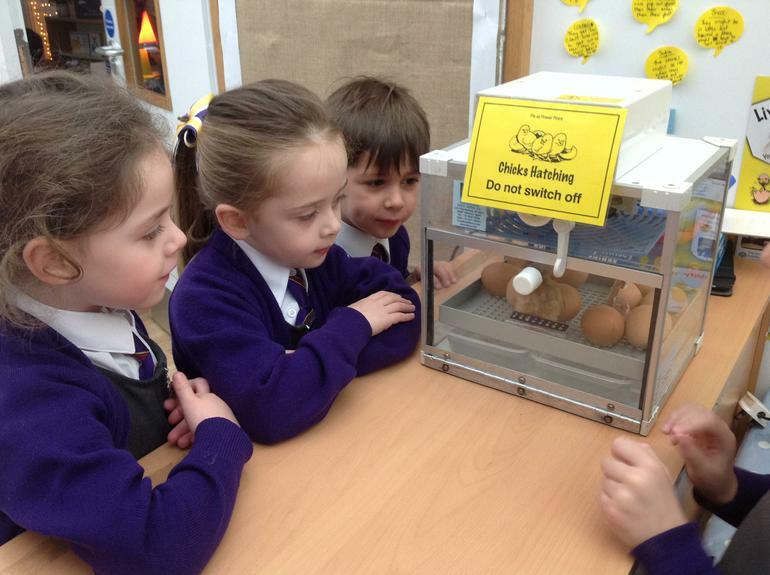 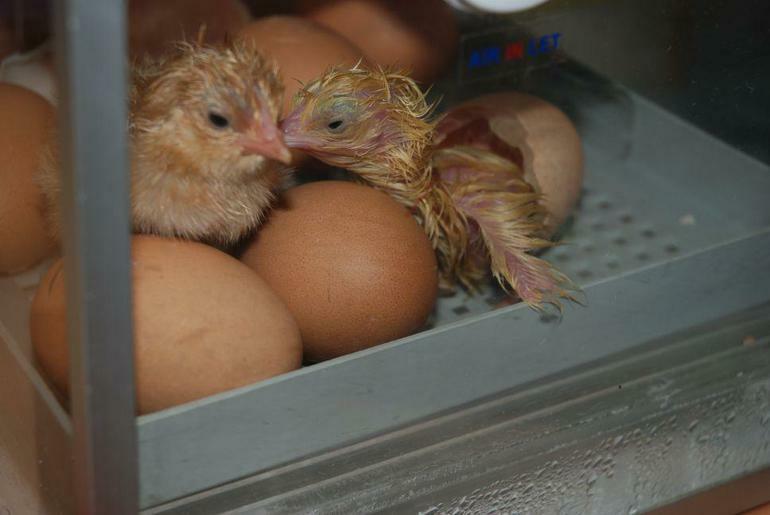 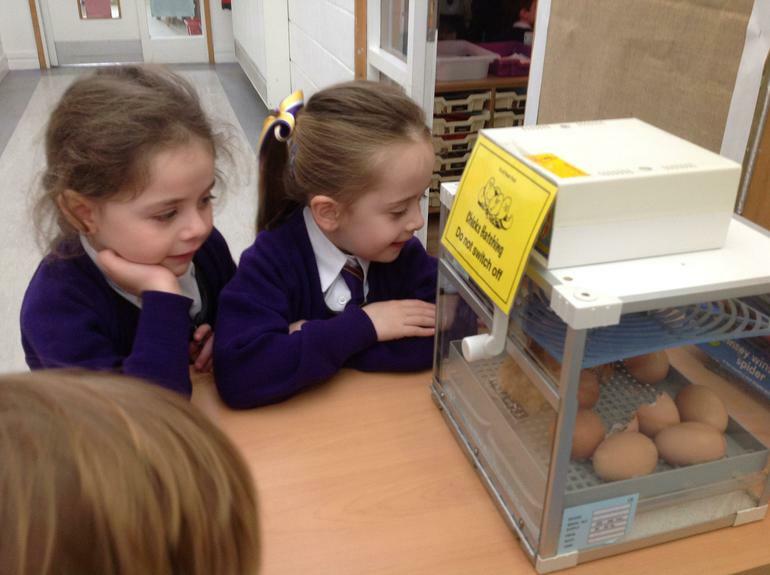 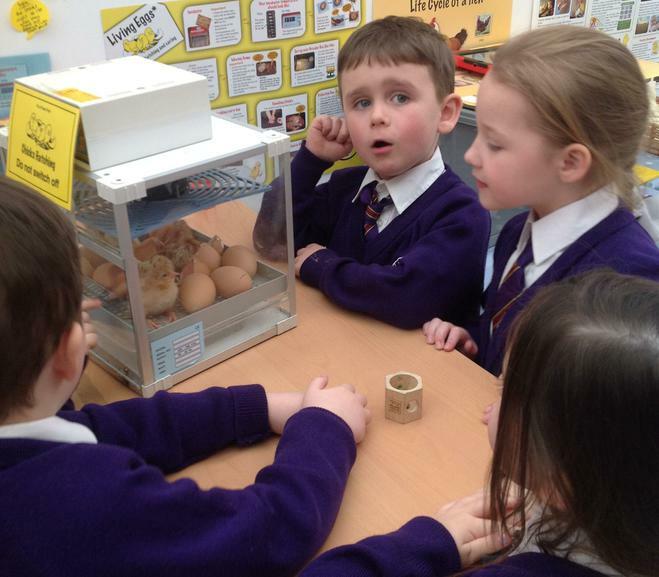 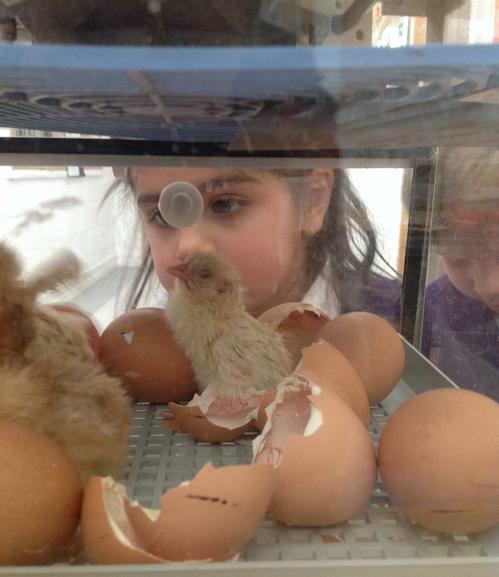 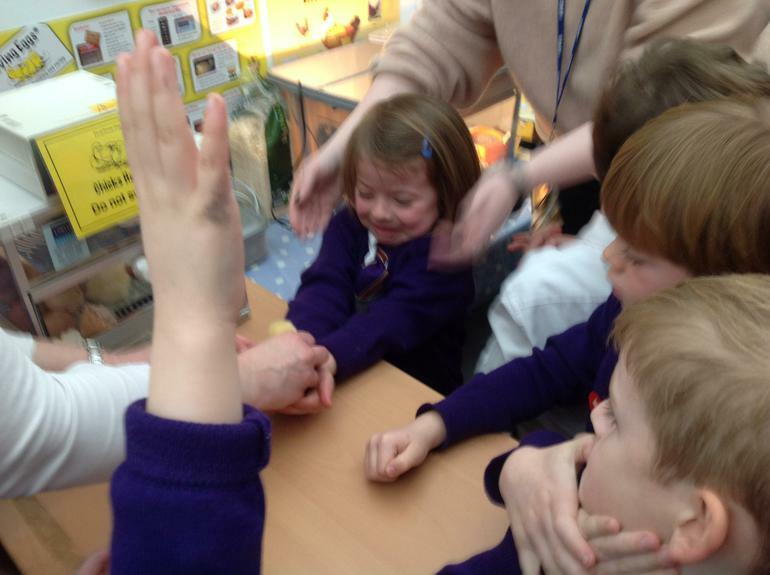 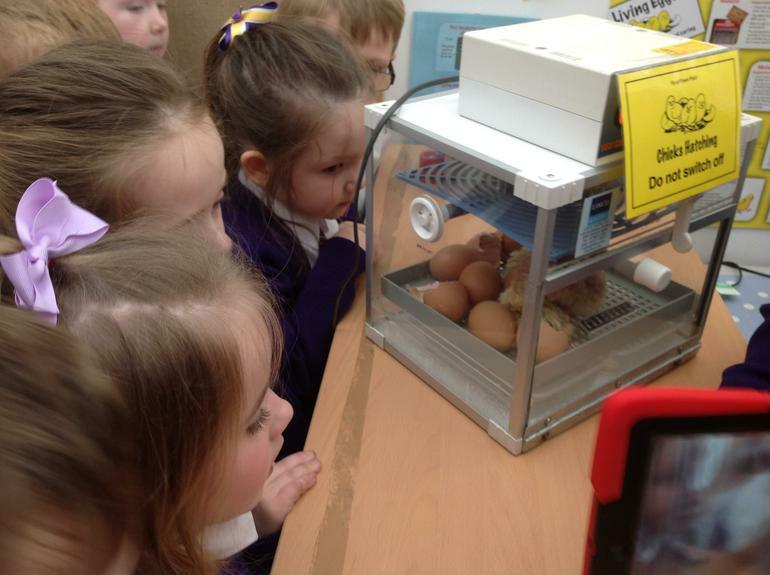 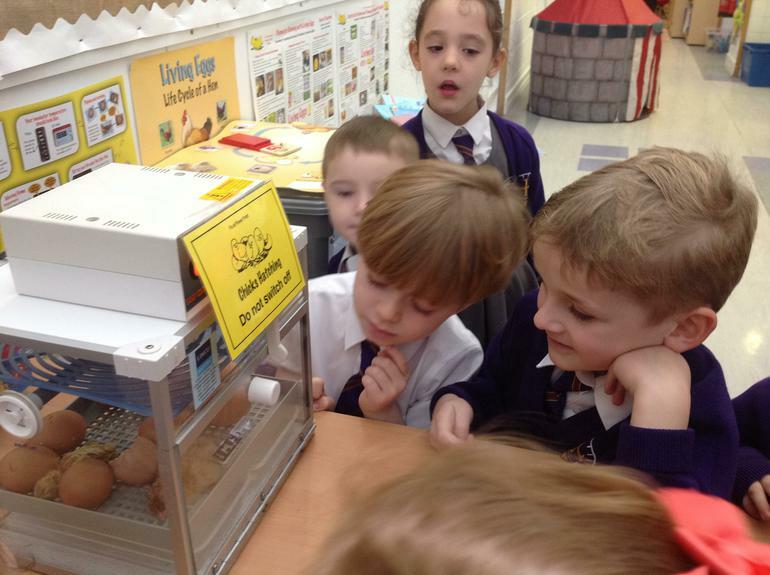 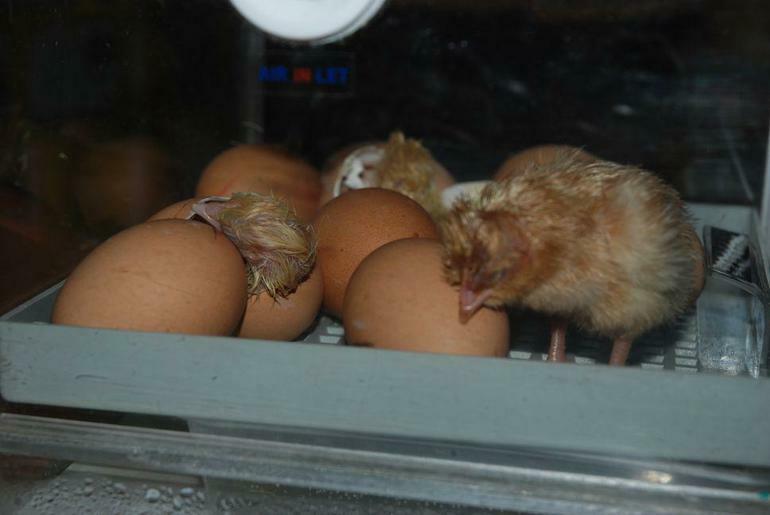 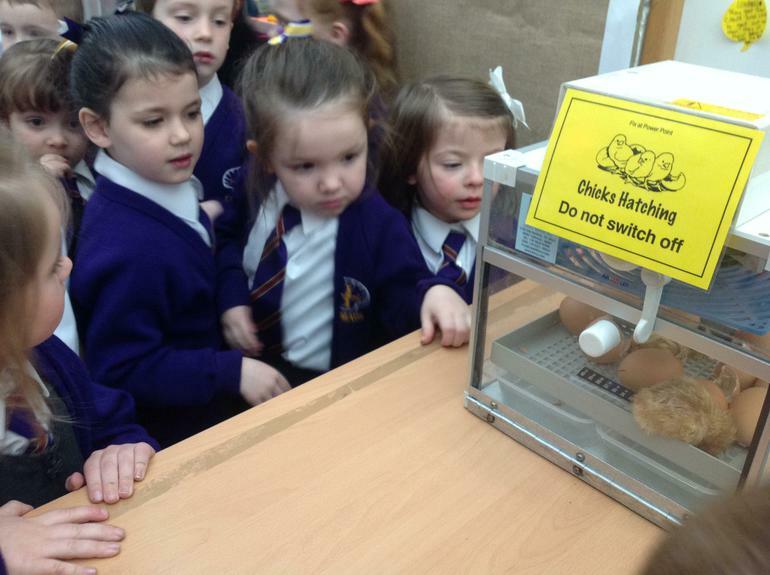 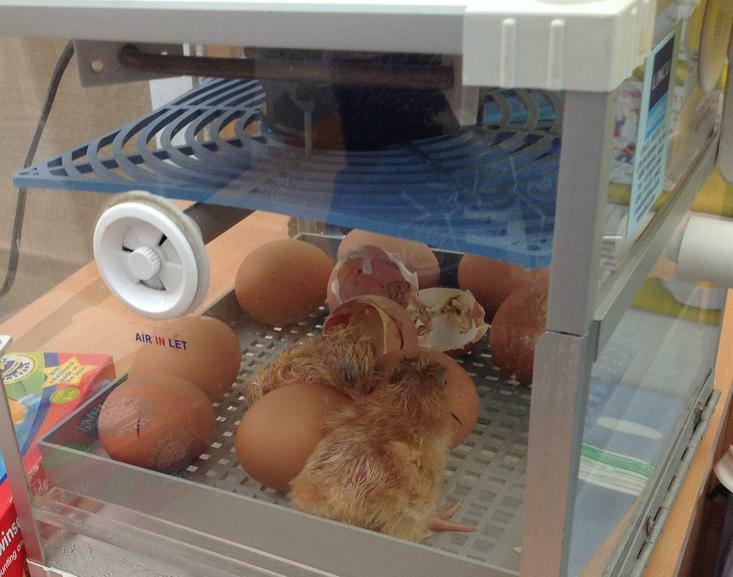 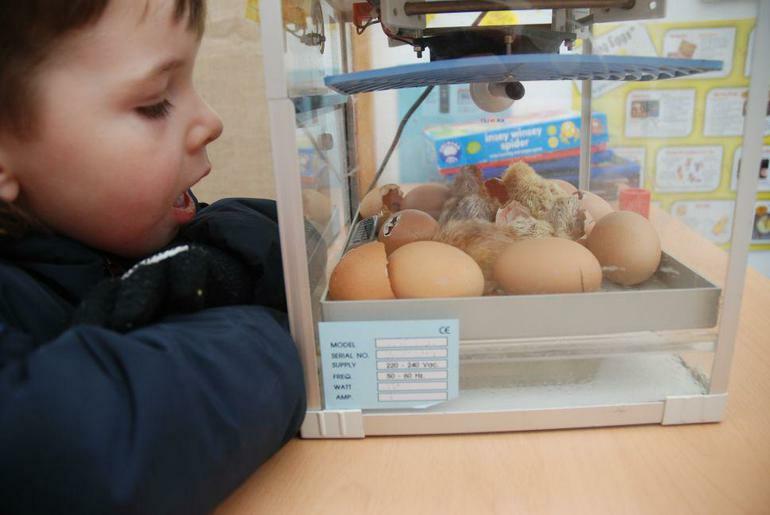 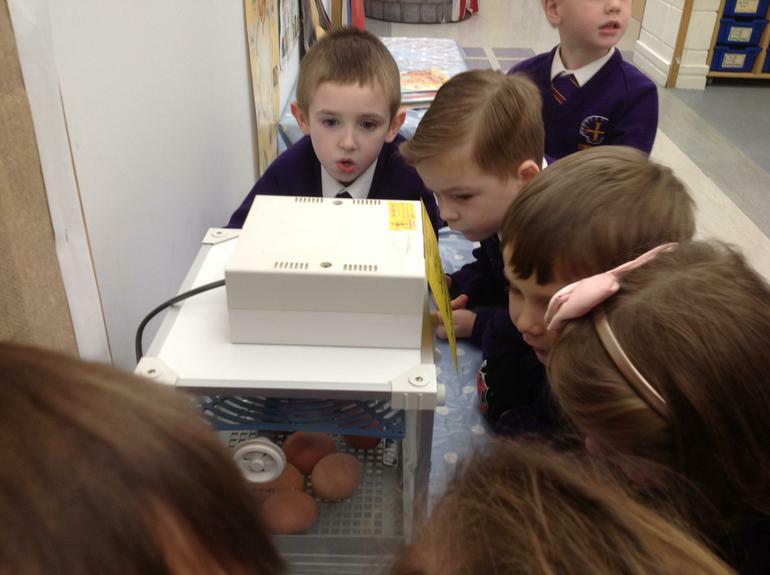 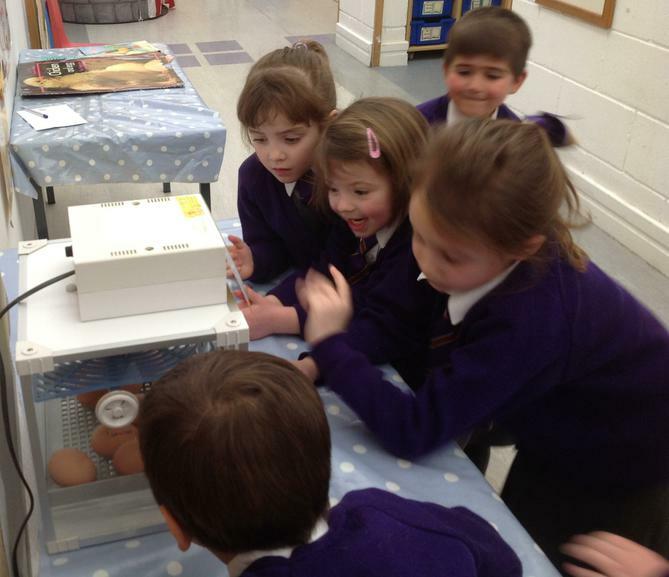 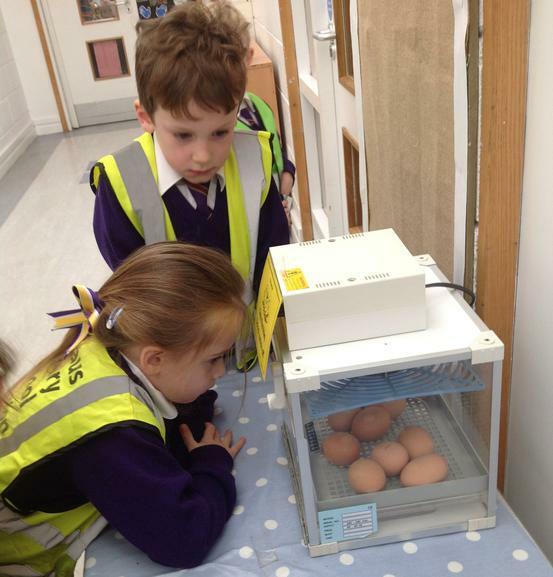 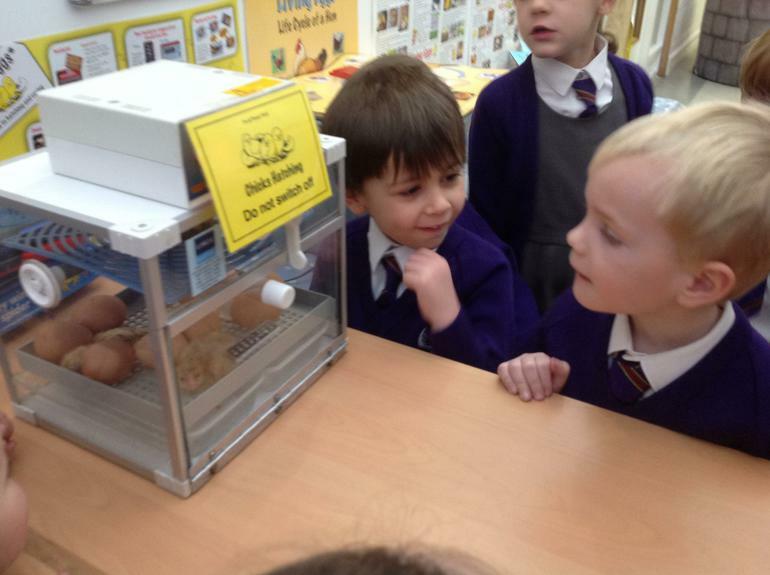 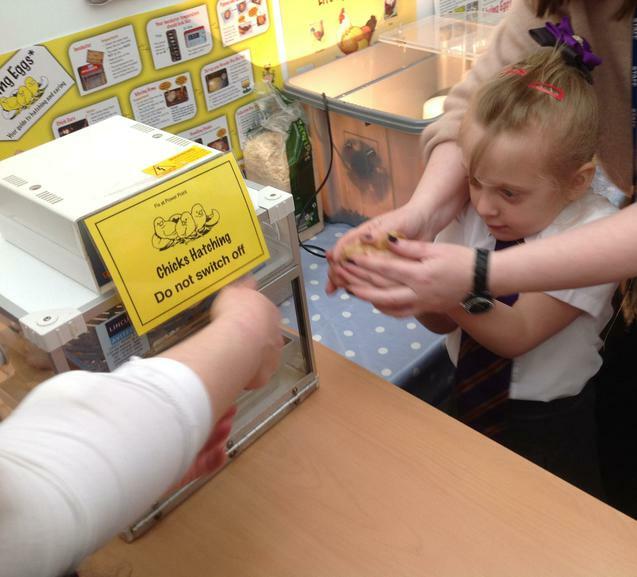 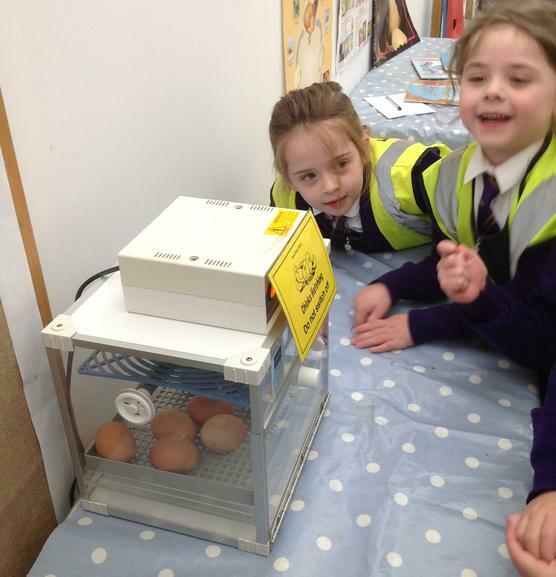 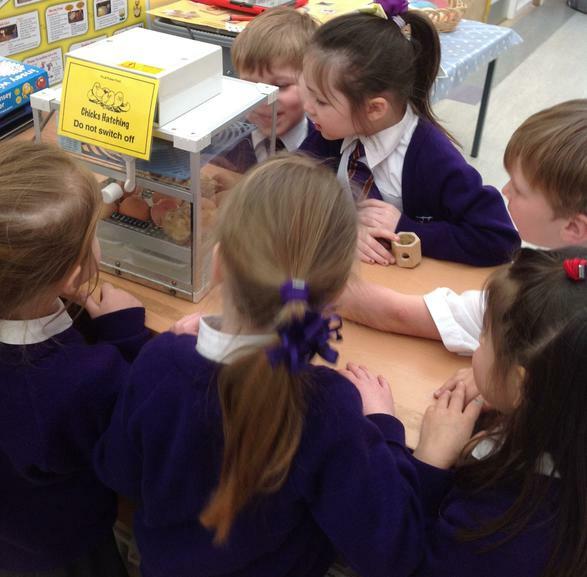 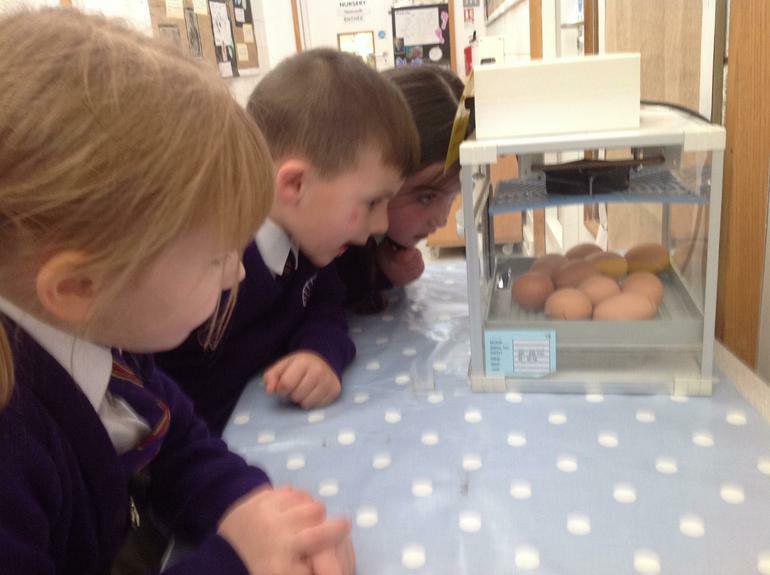 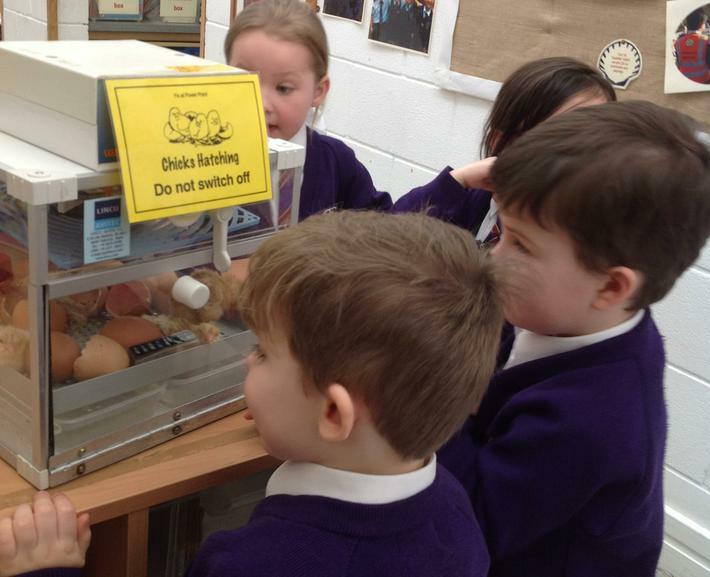 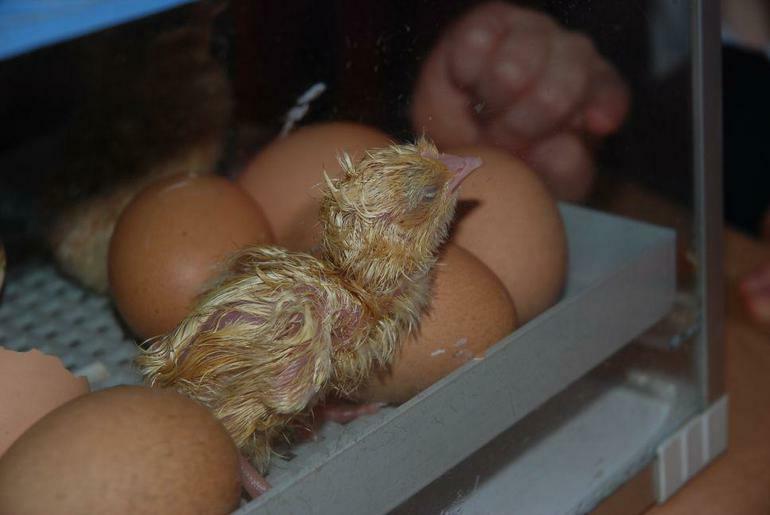 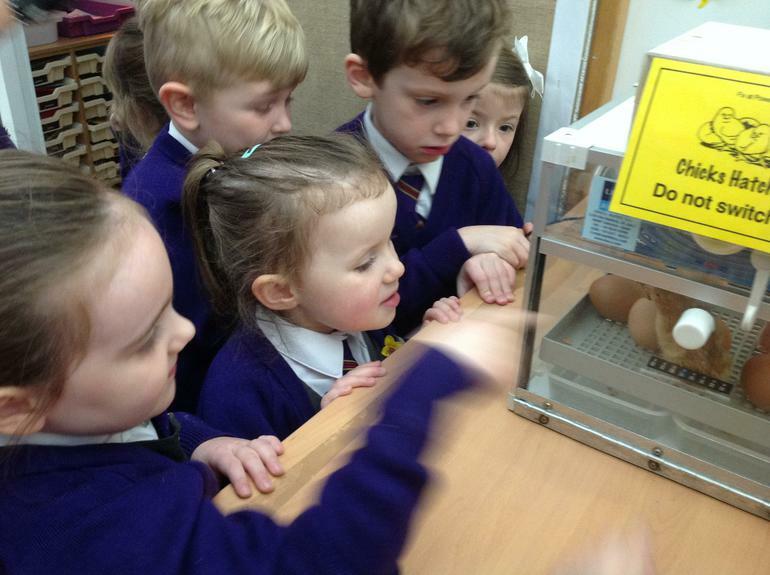 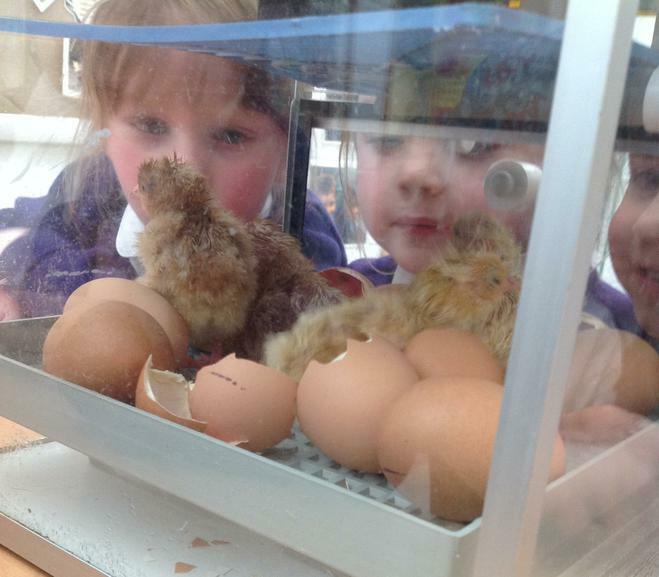 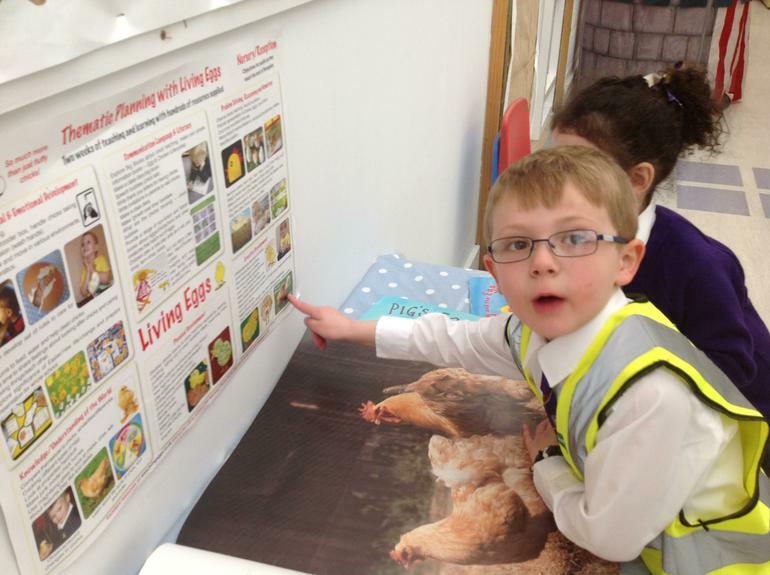 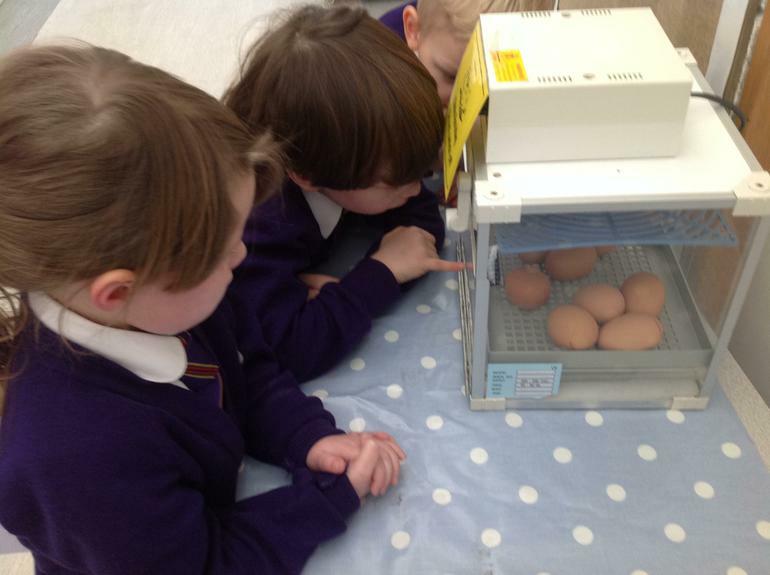 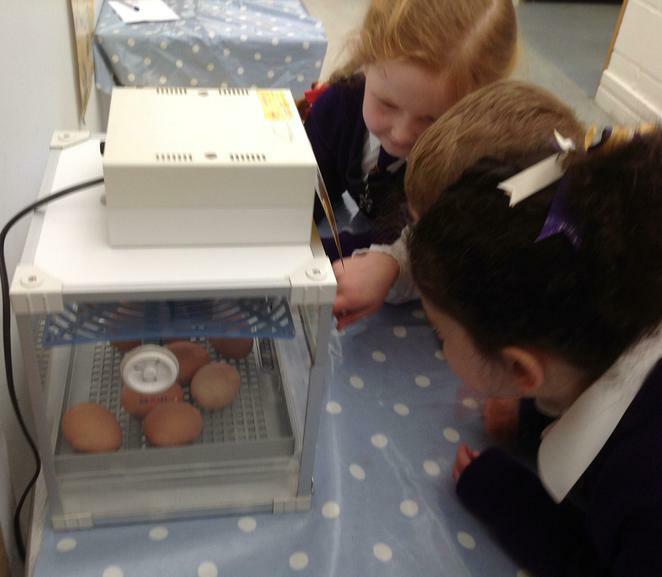 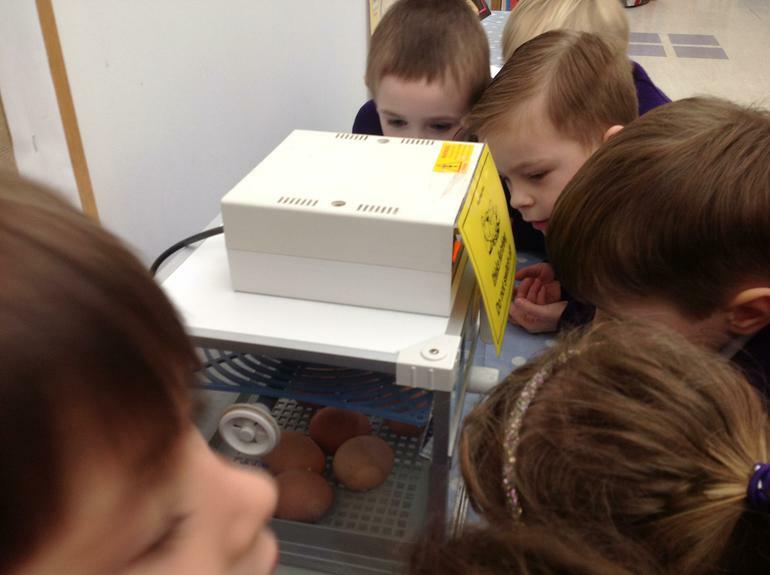 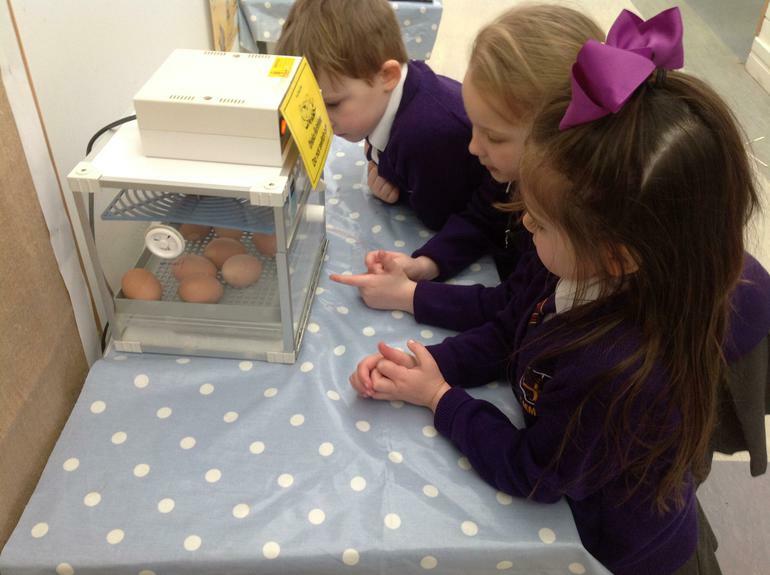 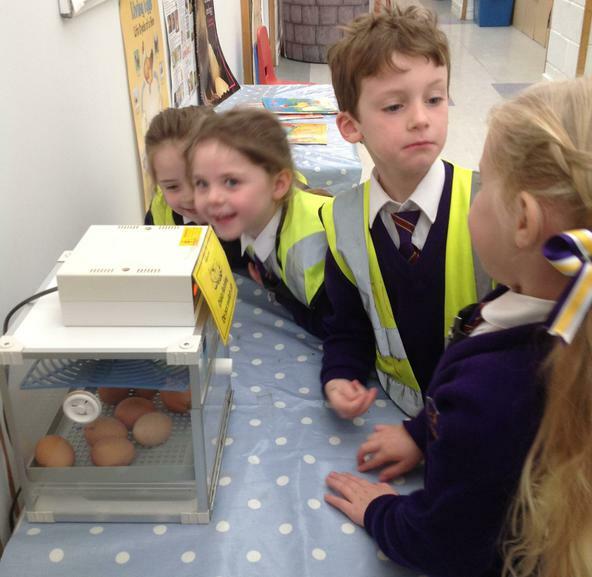 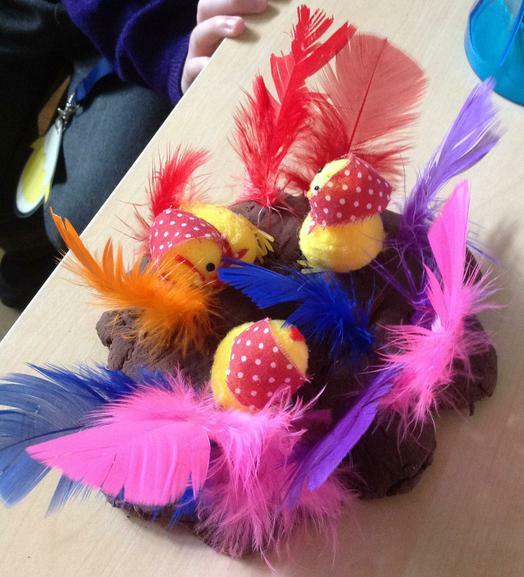 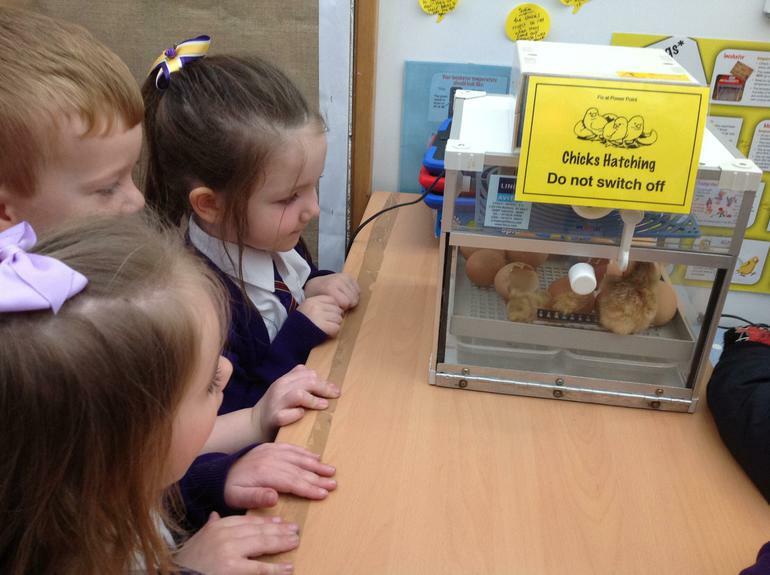 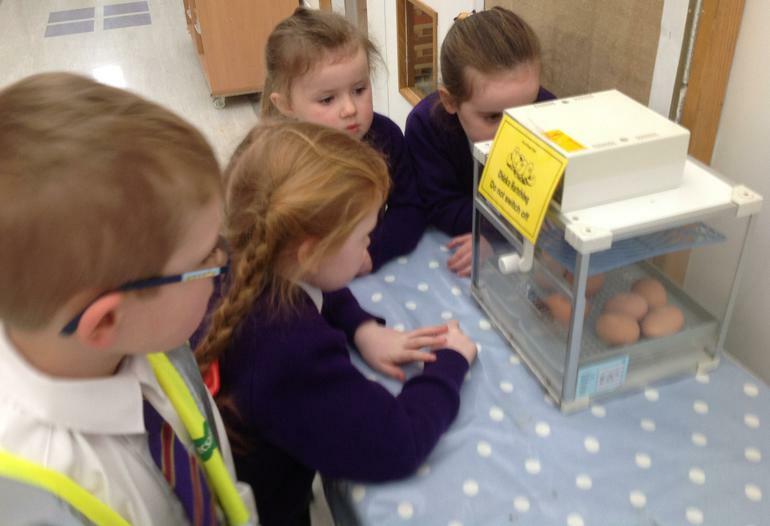 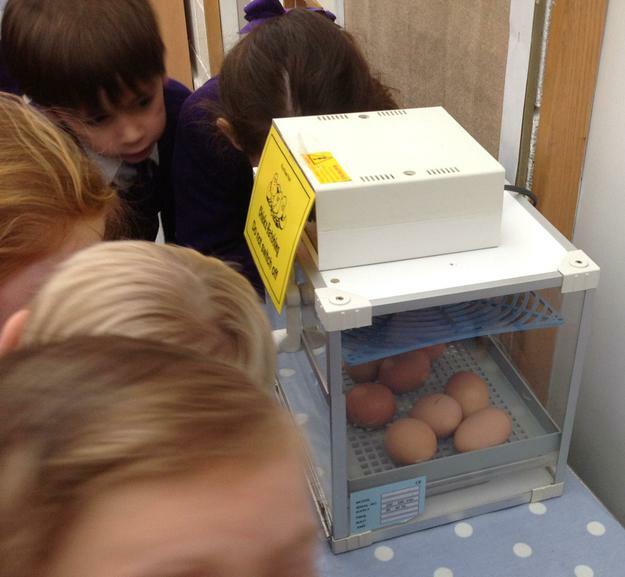 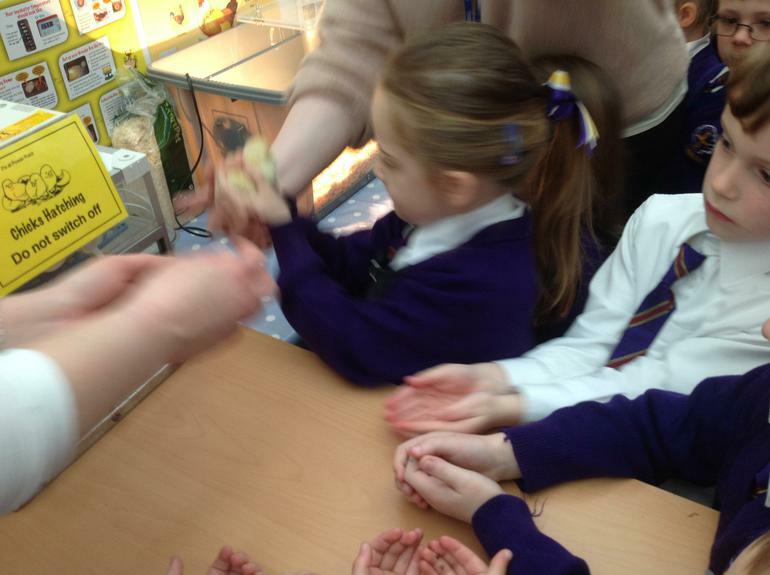 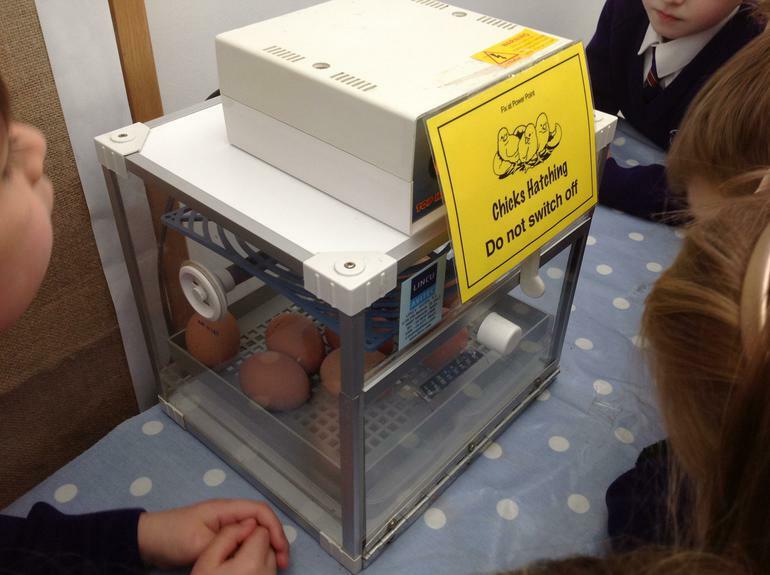 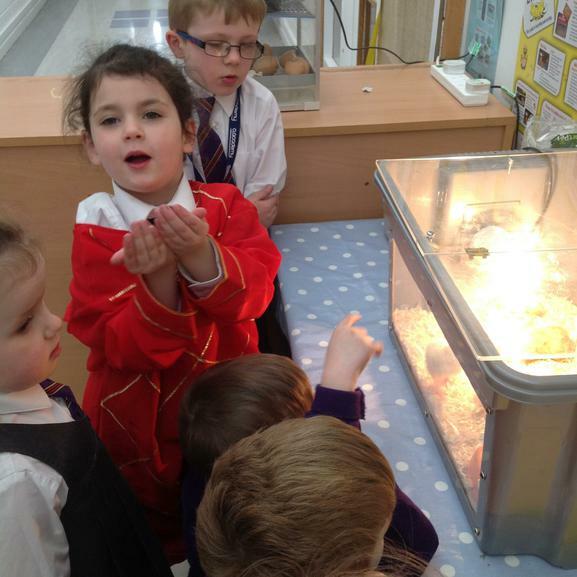 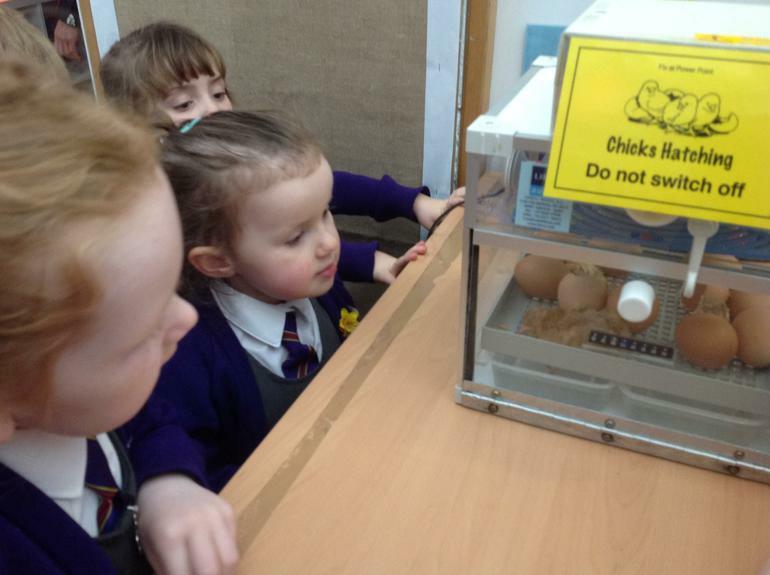 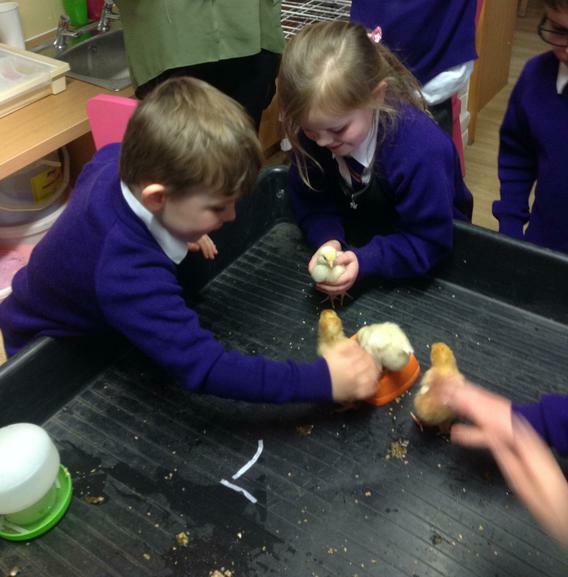 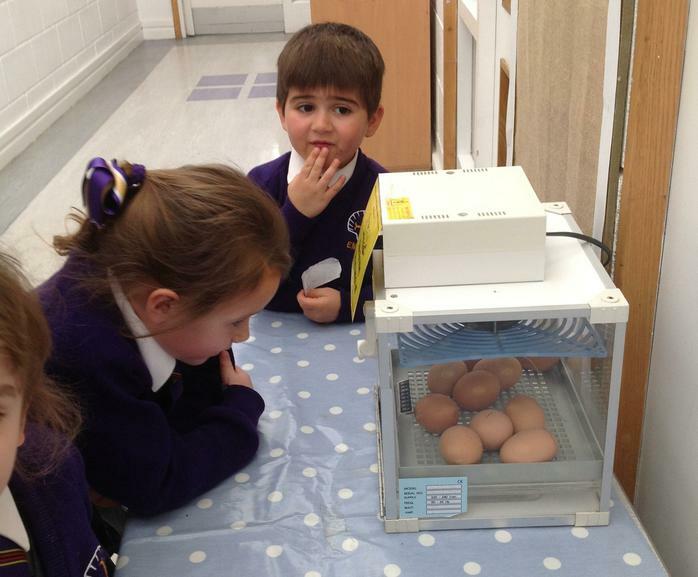 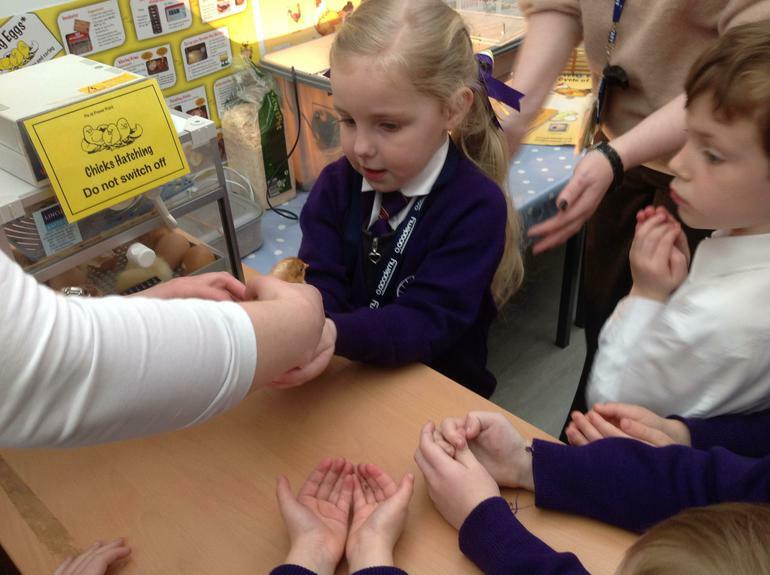 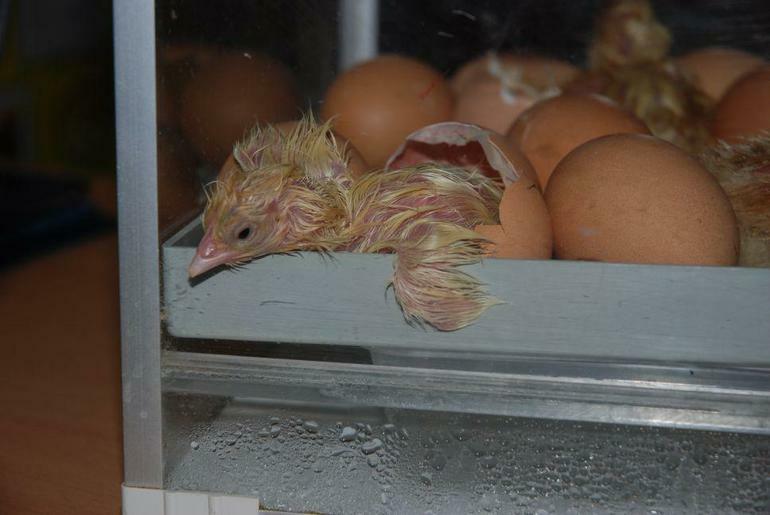 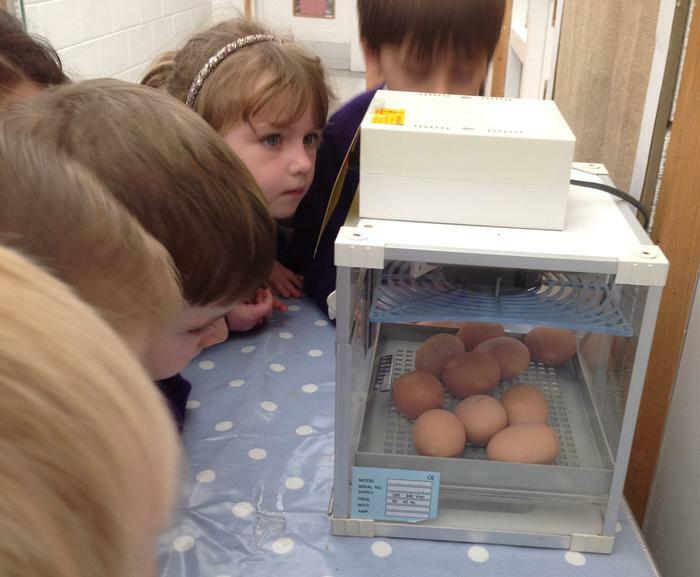 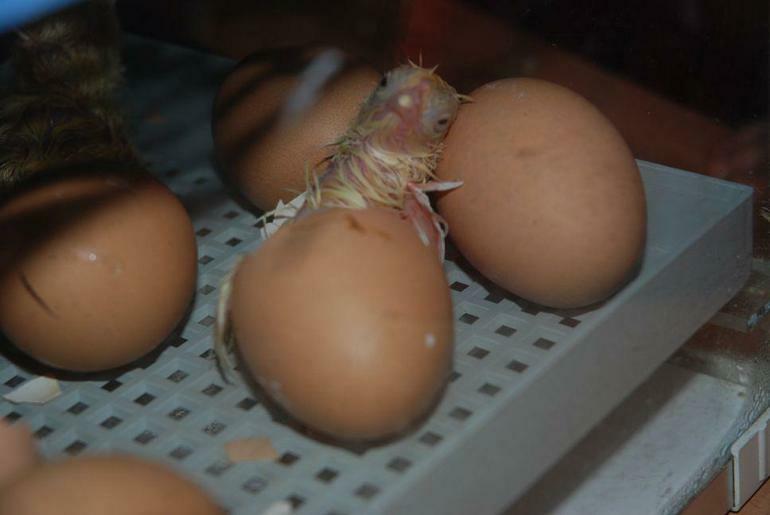 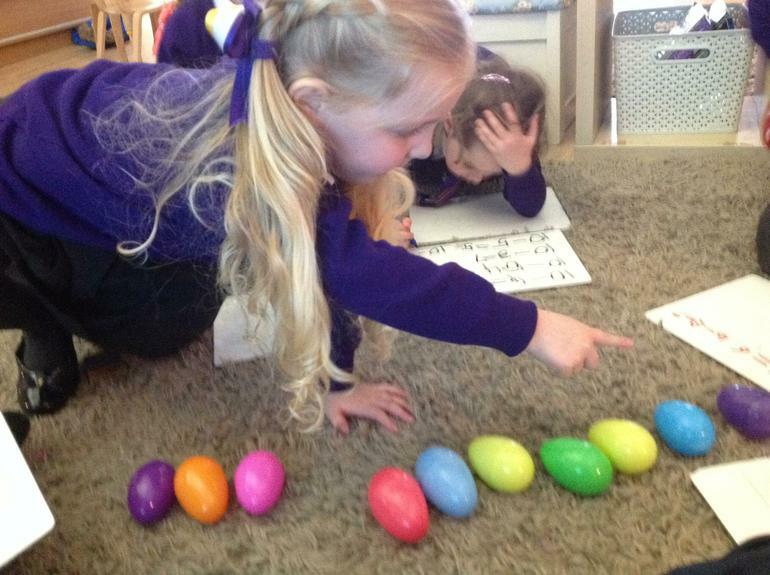 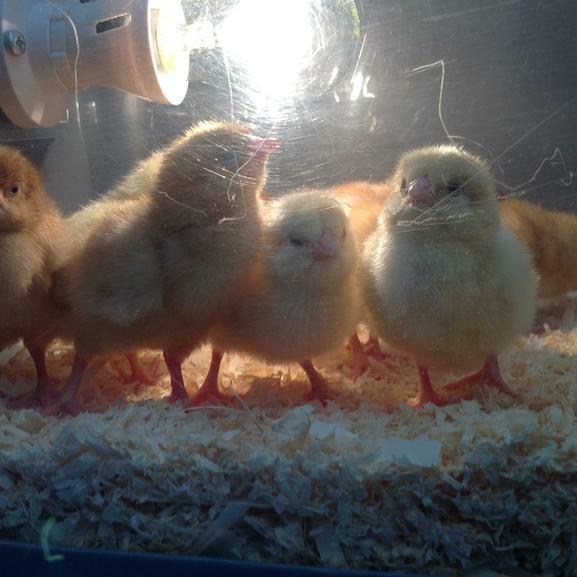 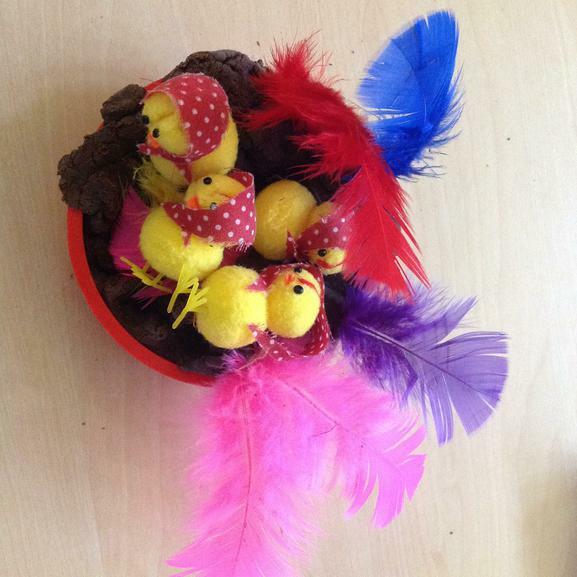 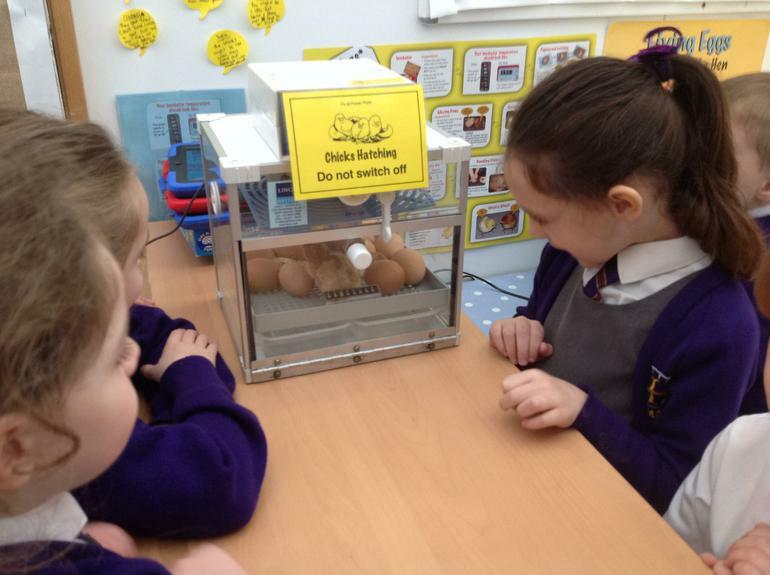 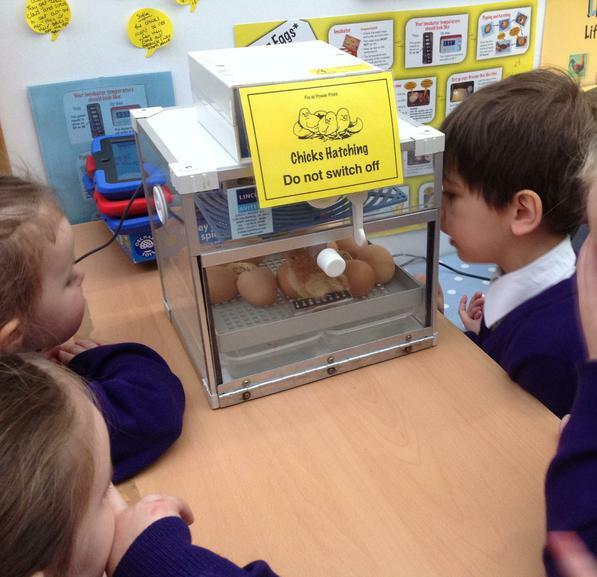 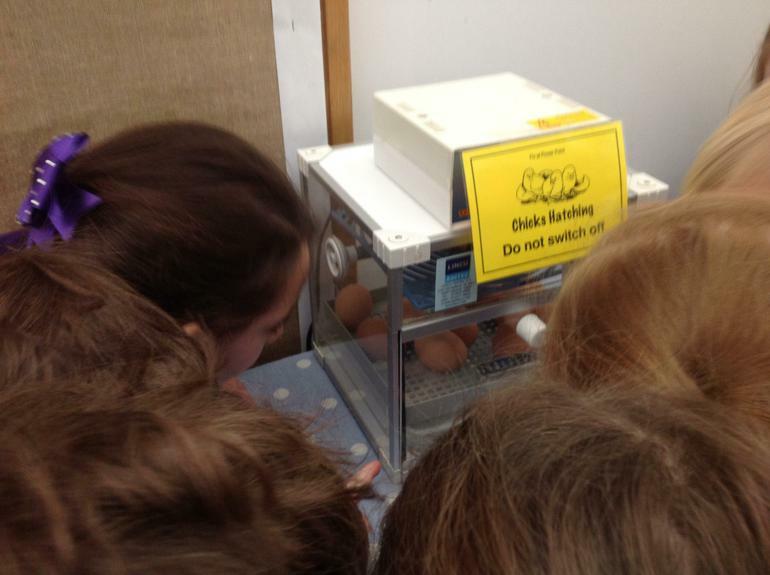 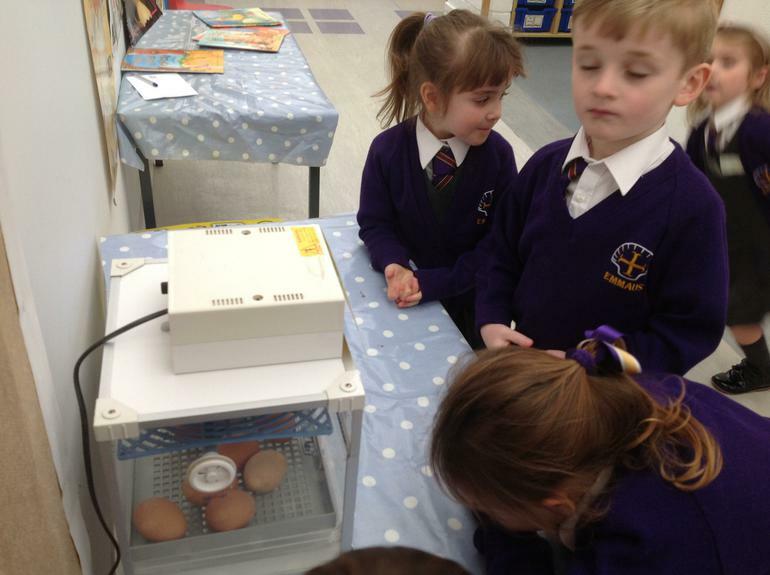 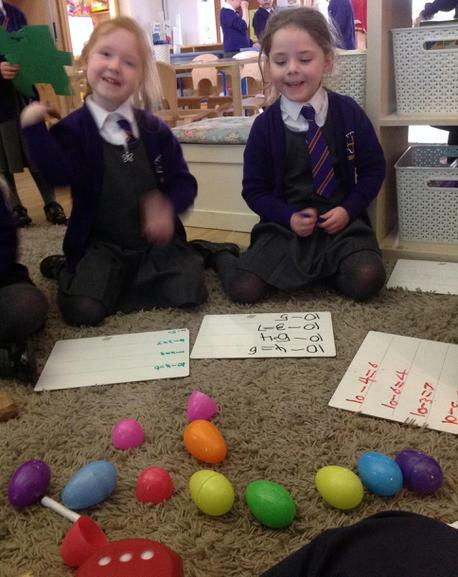 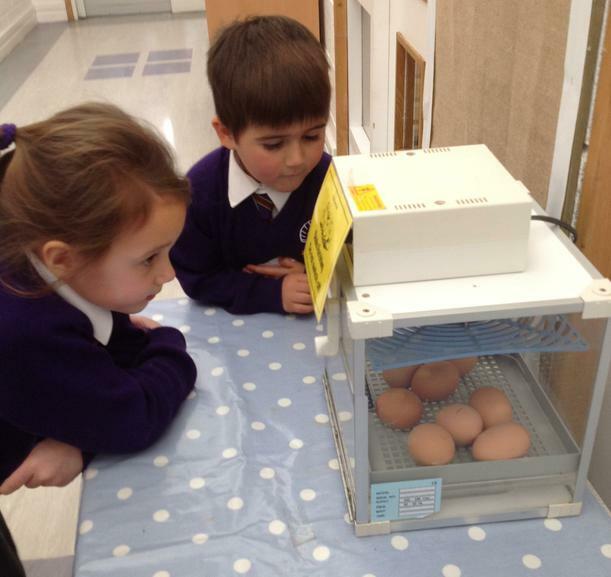 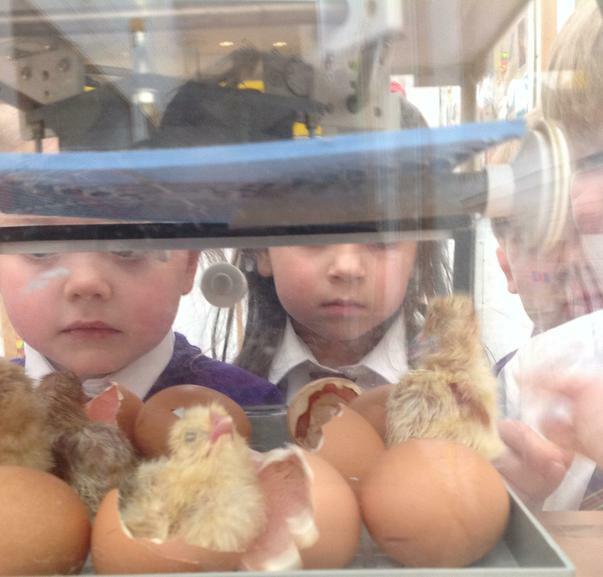 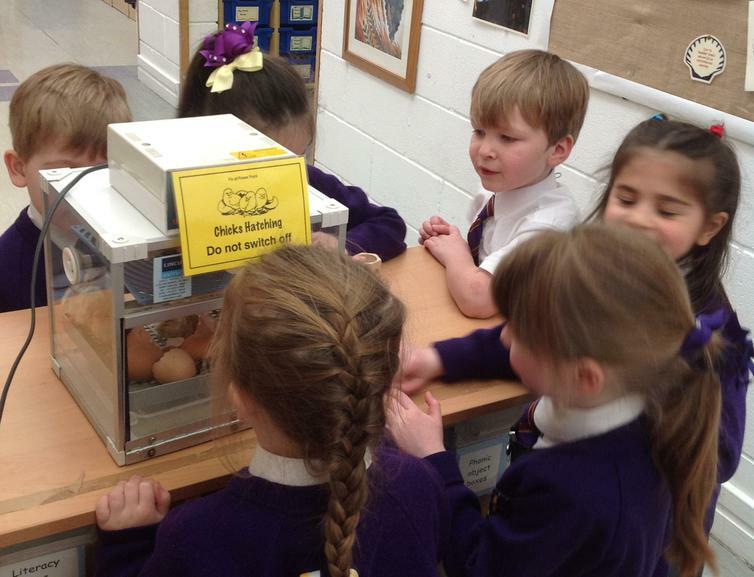 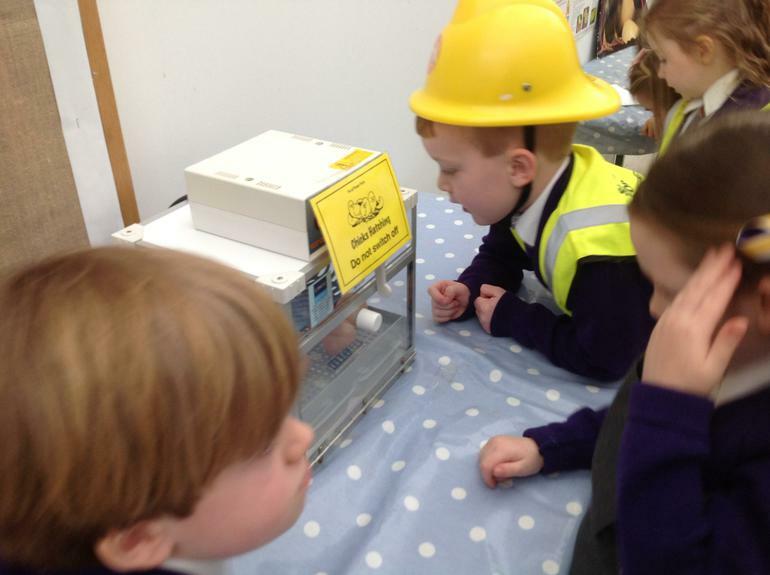 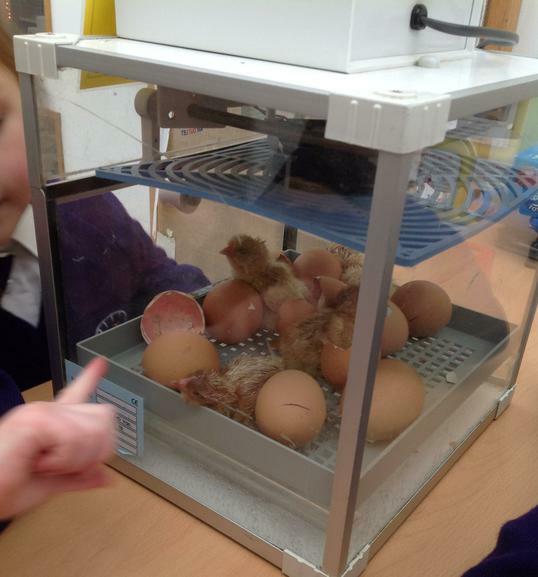 On Monday, we excitedly monitored the eggs in their incubator, looking out for any changes as the chicks grew inside. 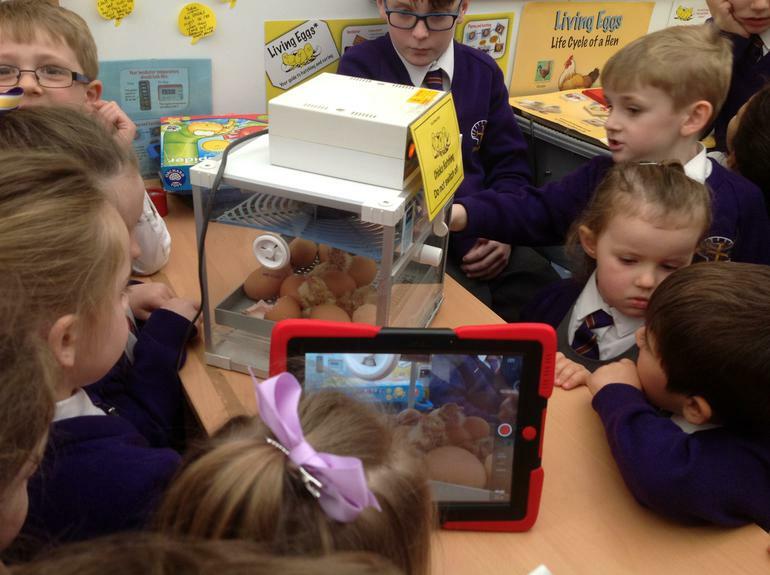 We used our ipad to record any overnight hatches and on Wednesday morning, we were delighted to discover two of the eggs had hatched! 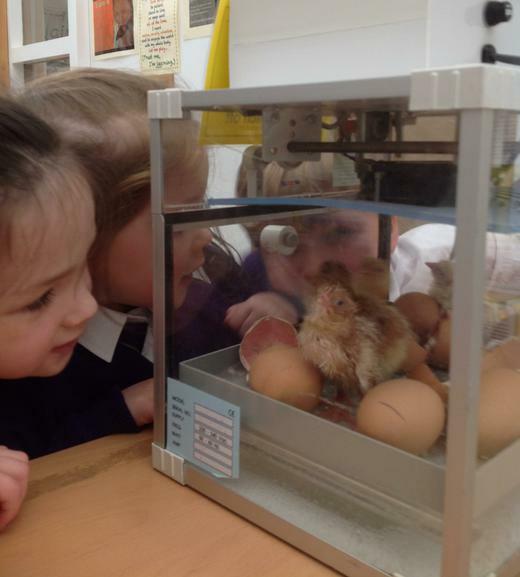 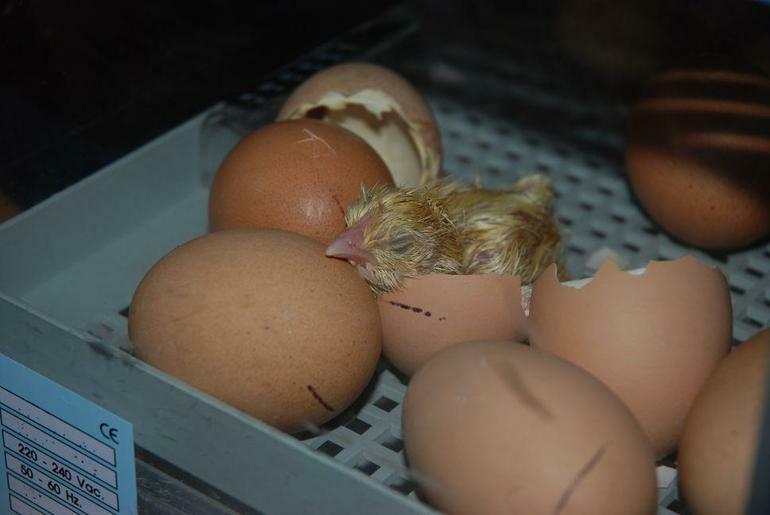 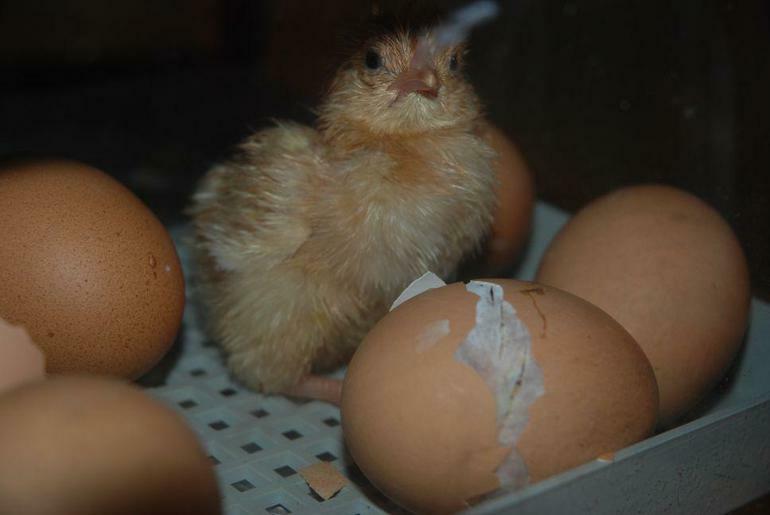 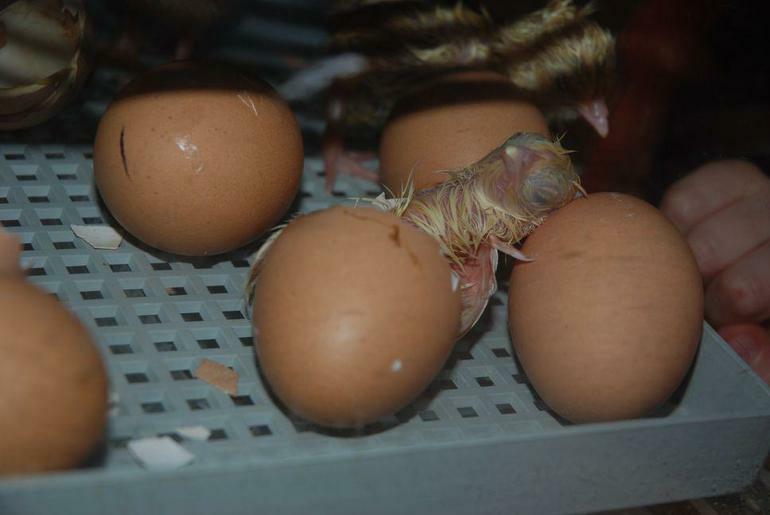 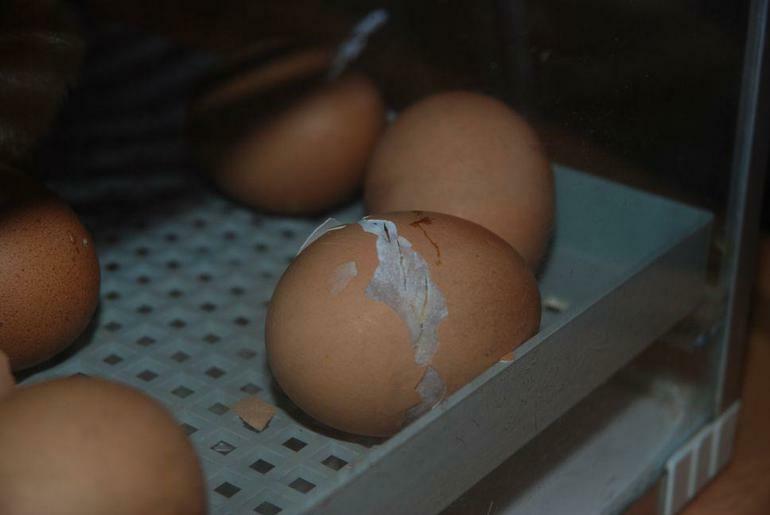 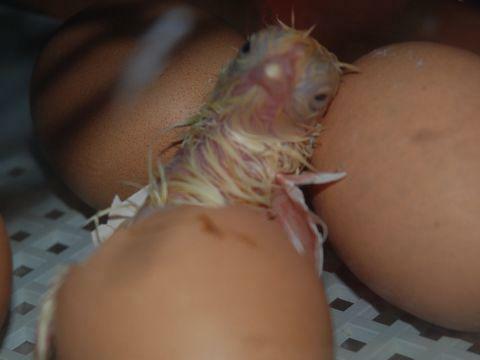 We didn’t have to wait very long for more new arrivals and we were so excited when a tiny hole in one egg developed into a bigger crack and then as we watched, a baby chick hatched right before our very eyes! 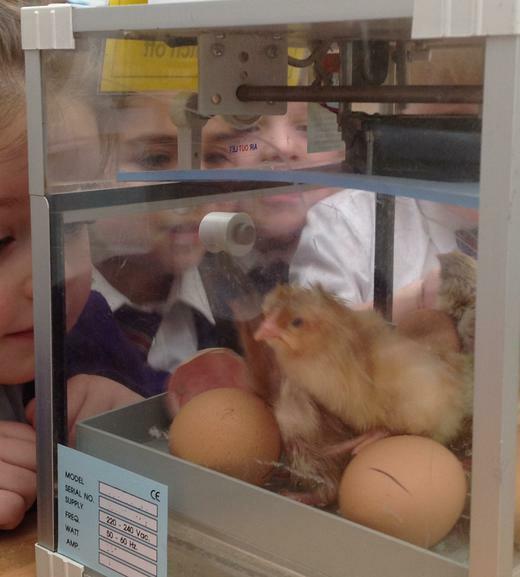 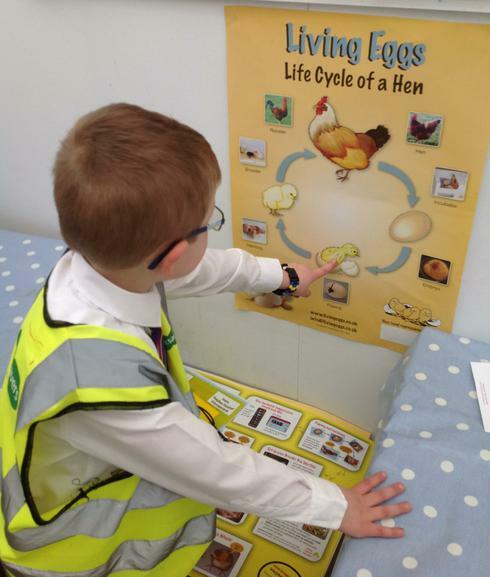 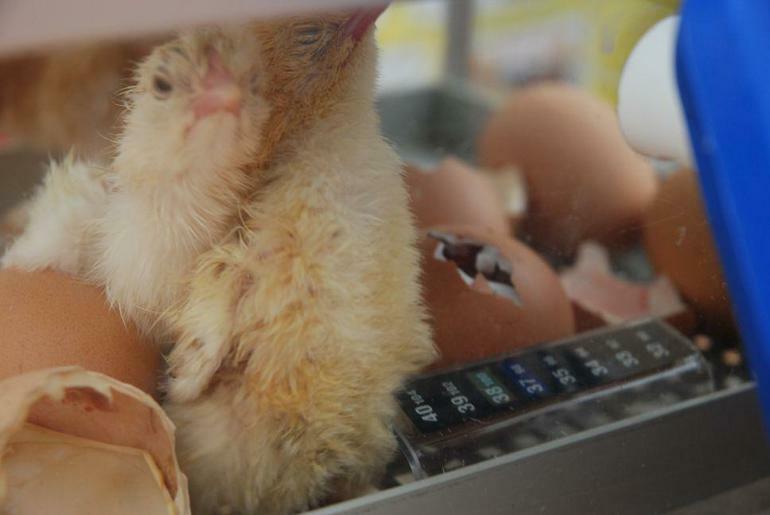 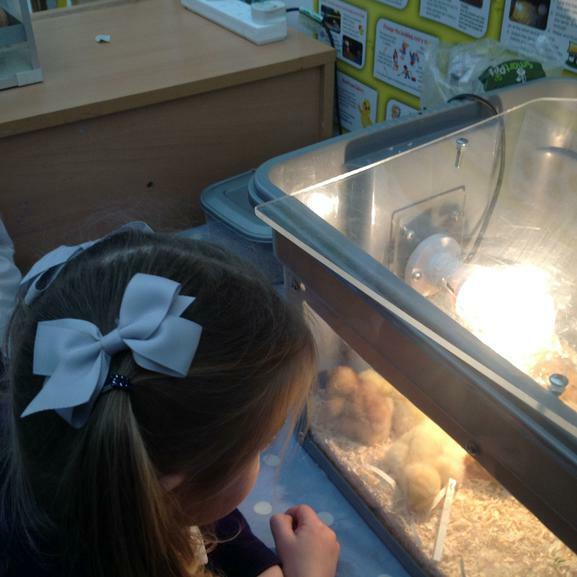 As the day went on, the whole school got involved and everyone was amazed to witness four more ‘live’ hatches, carefully filmed by our Year 6 friend, Emmett, there were even a few chick ‘selfies’ thrown in for good measure! 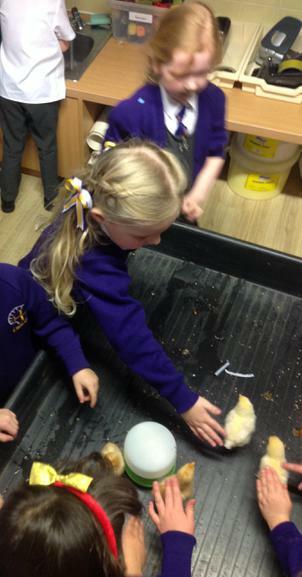 Once the chicks were strong and fluffy, we carefully transferred them into their 'brooder box', which will be their home for the rest of their two week stay with us at Emmaus. 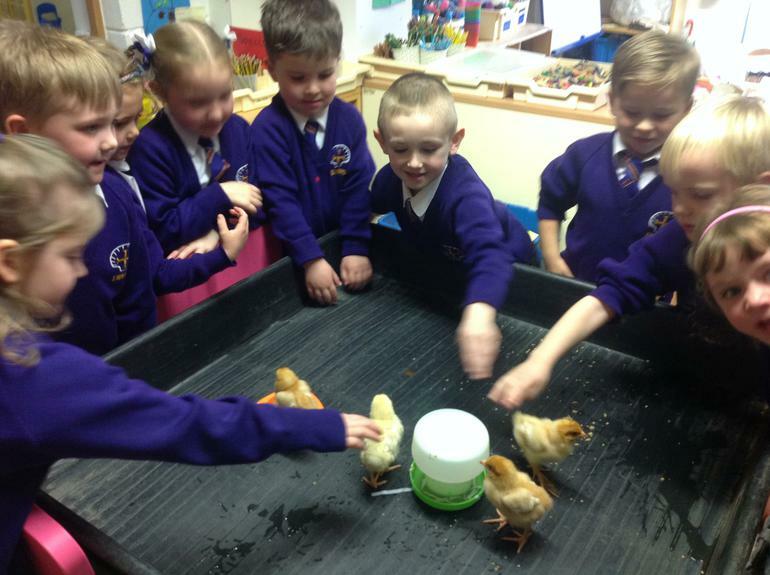 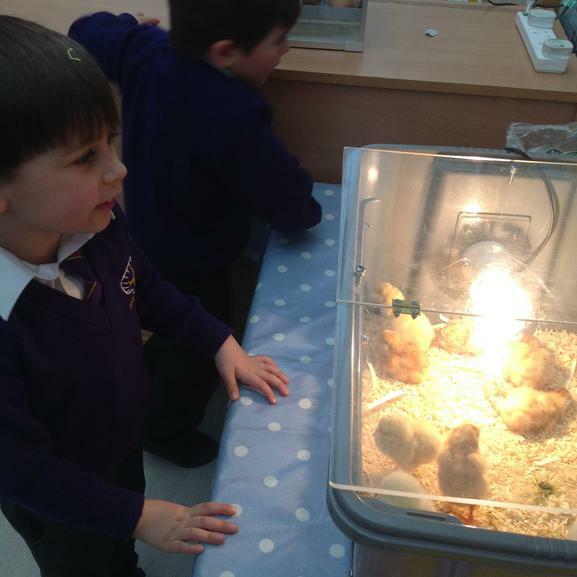 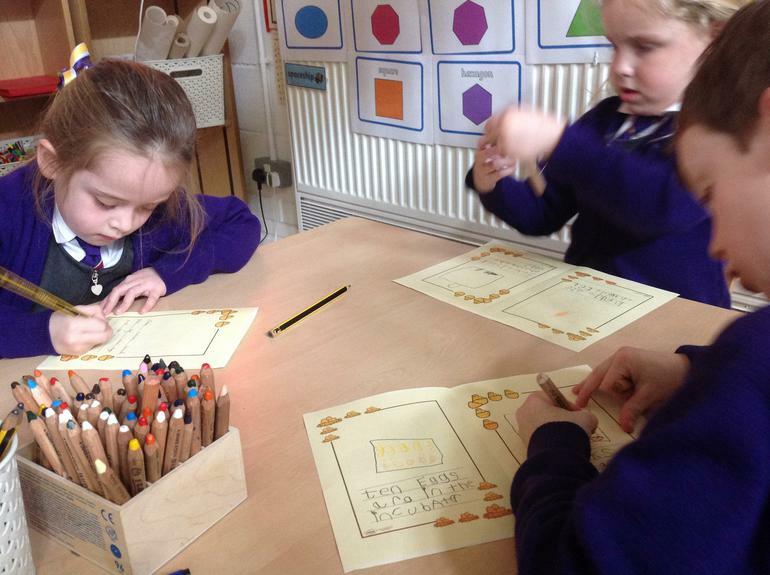 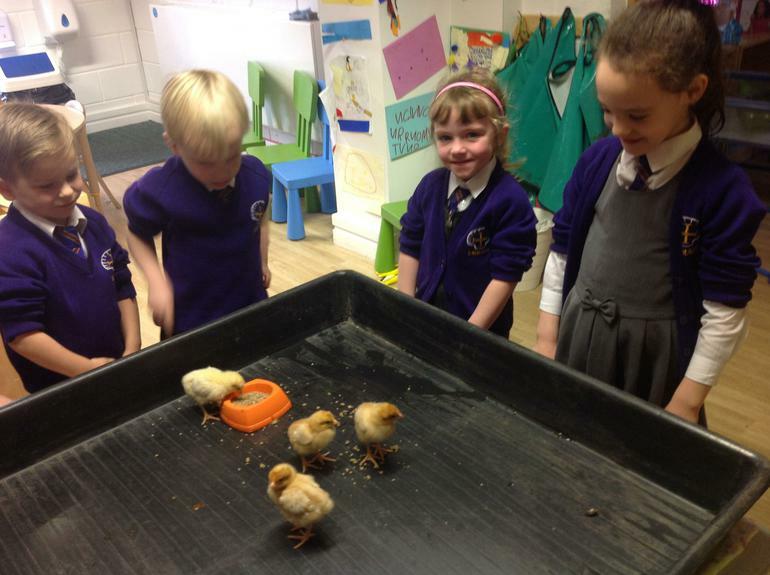 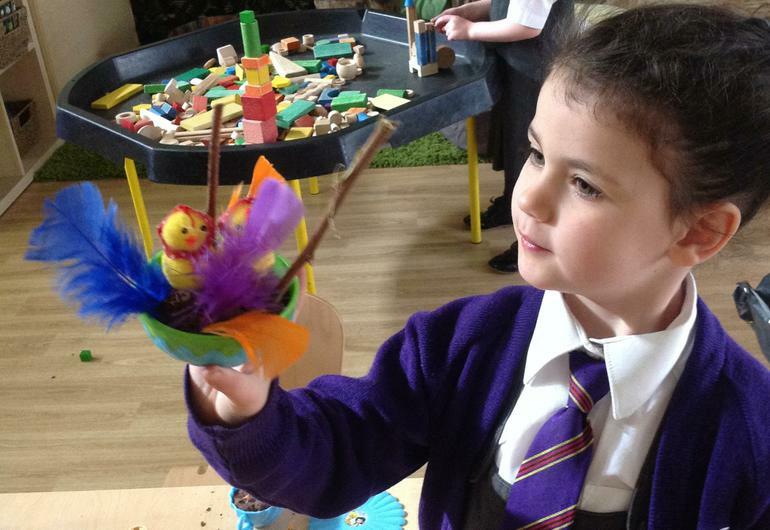 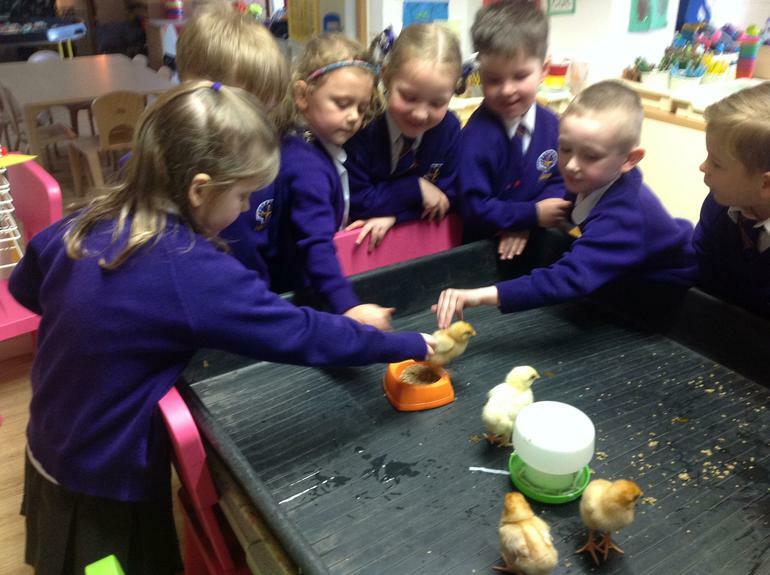 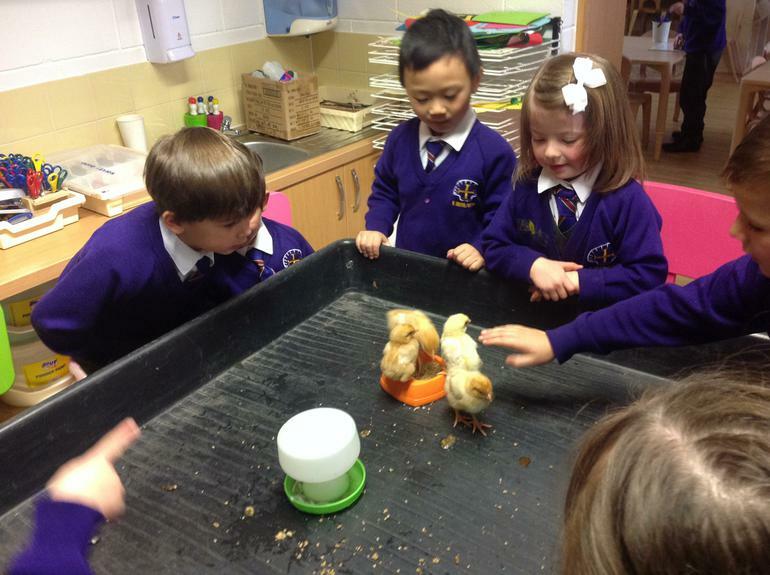 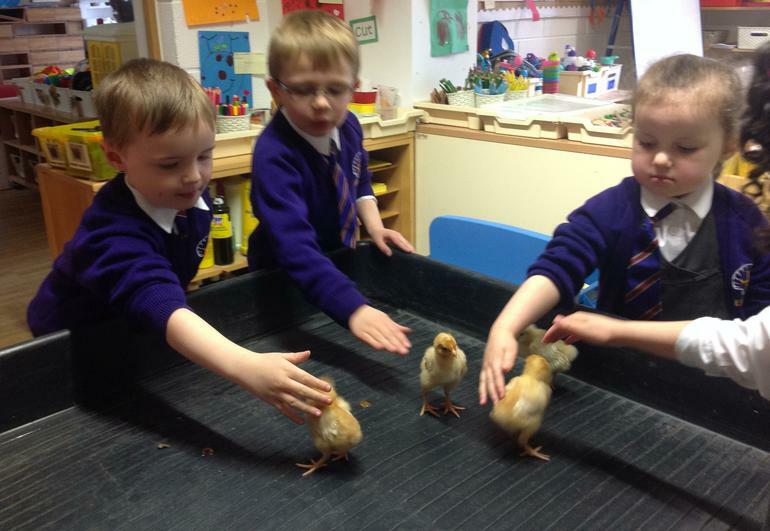 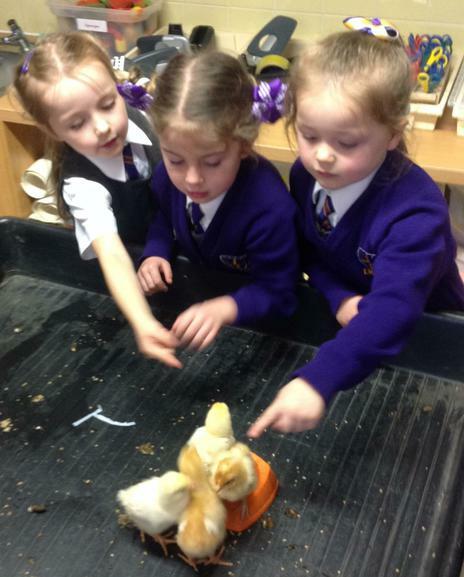 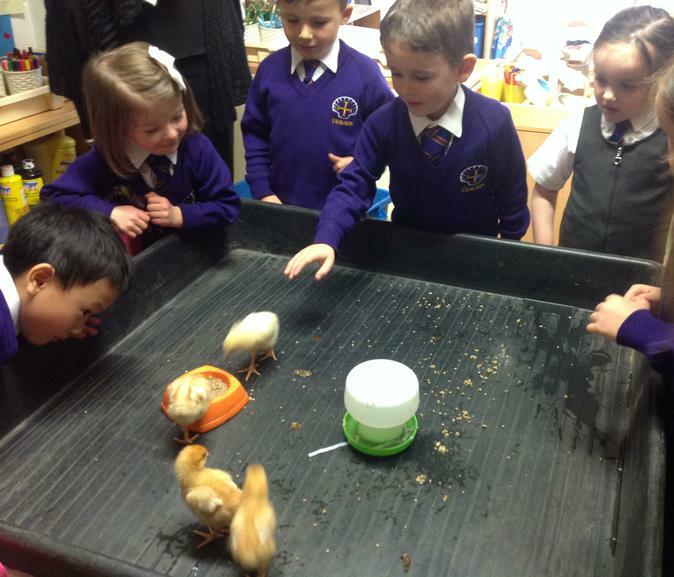 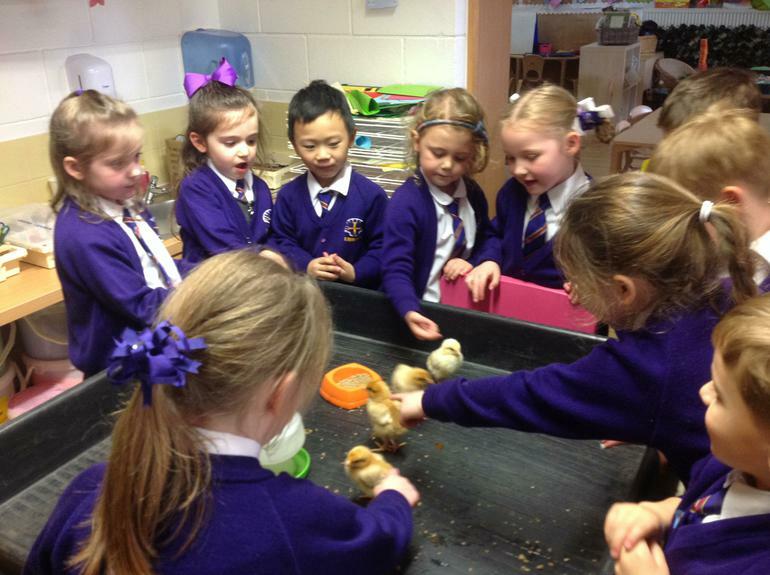 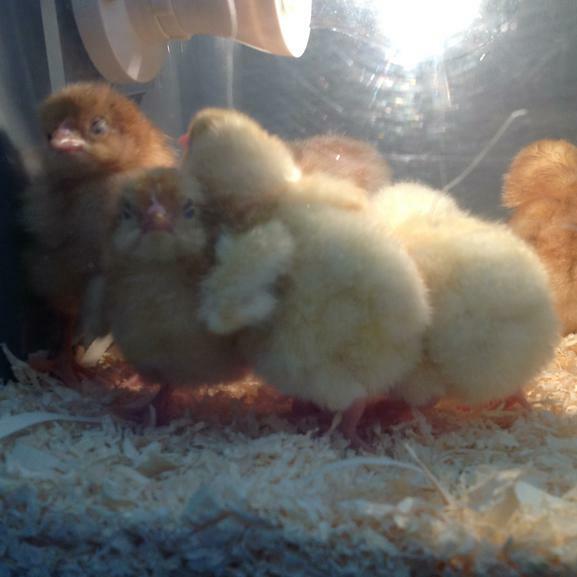 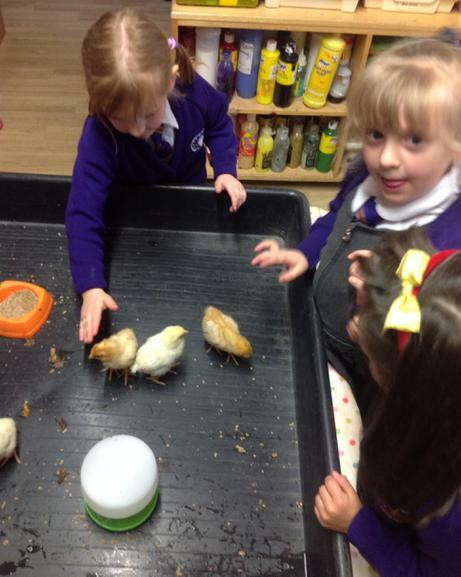 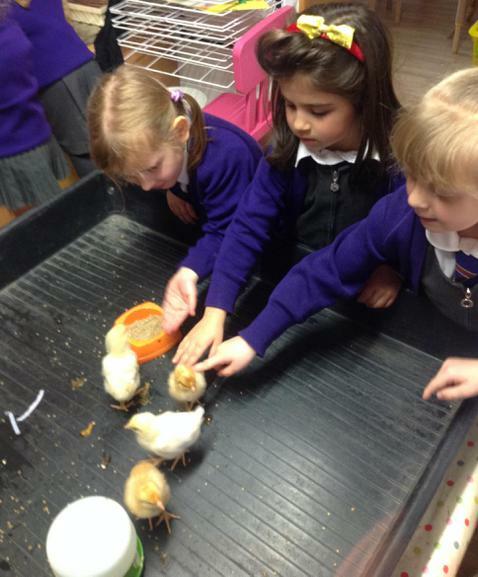 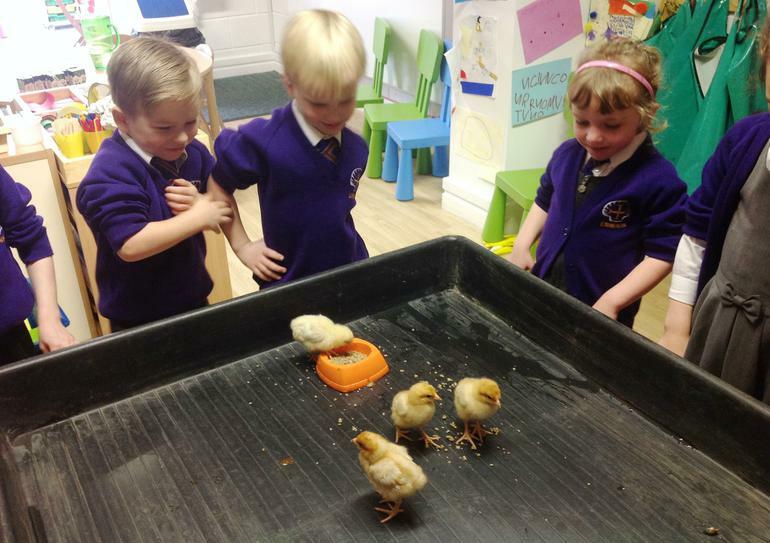 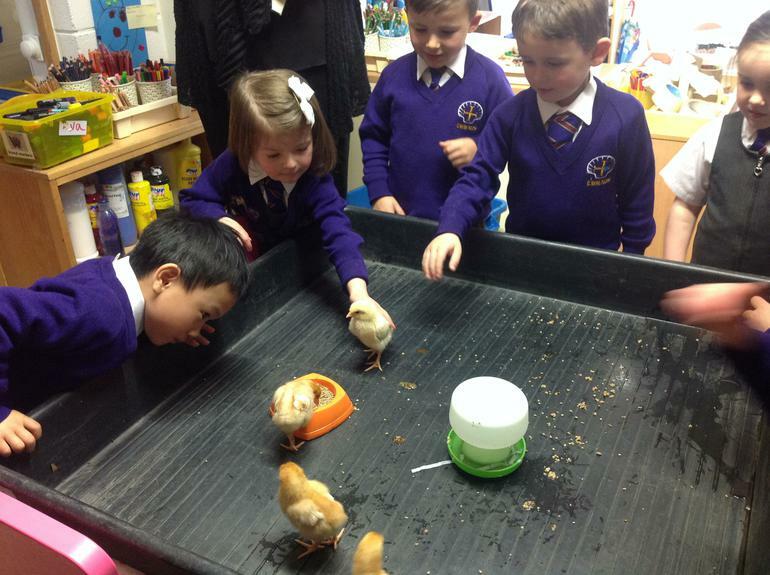 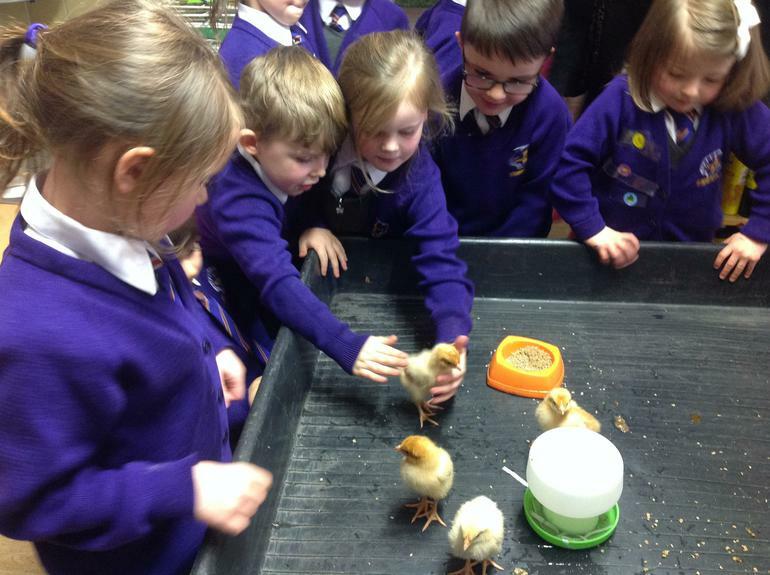 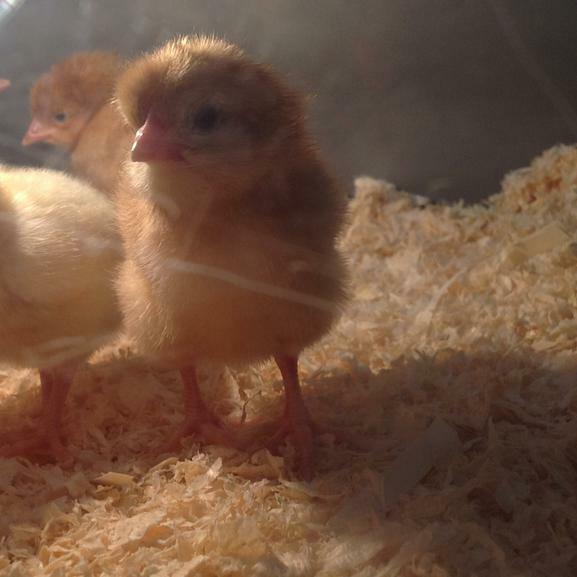 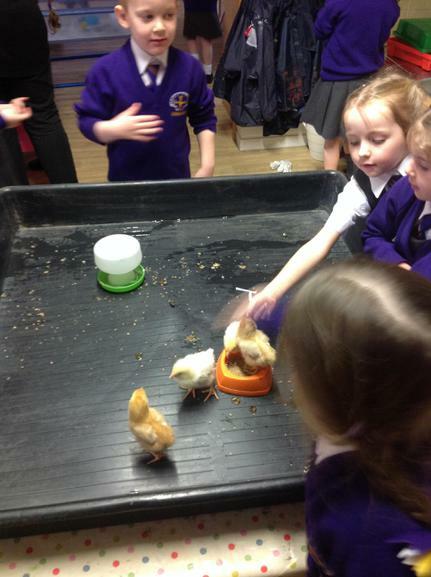 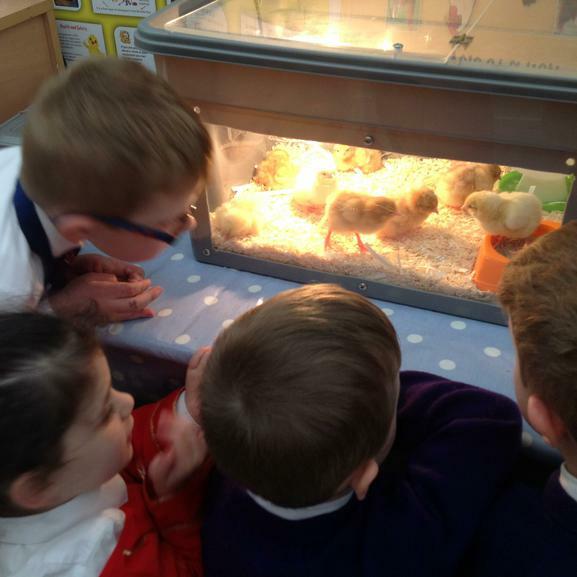 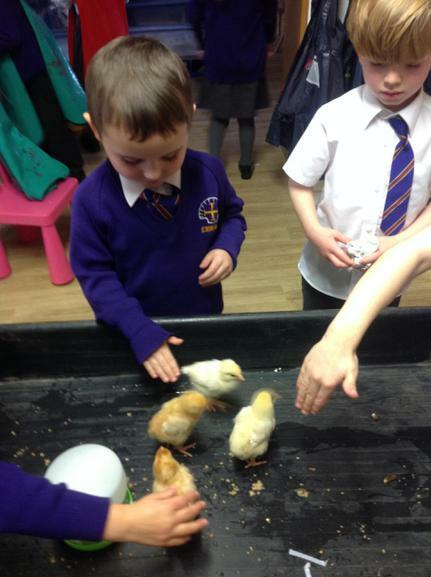 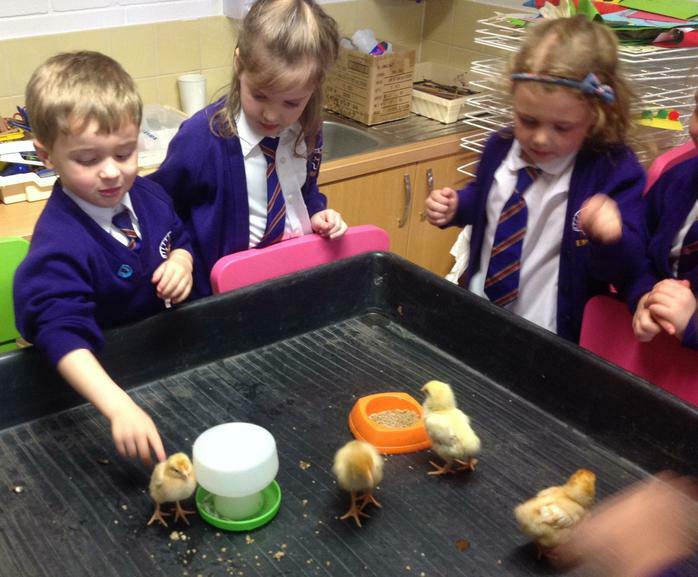 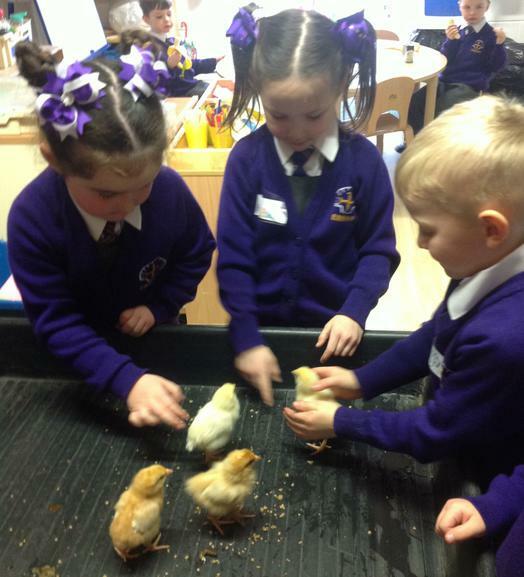 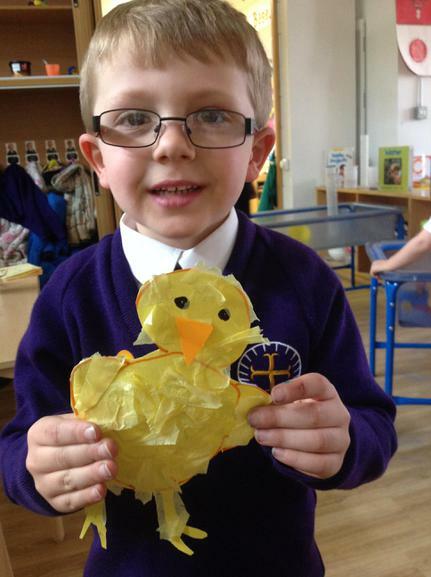 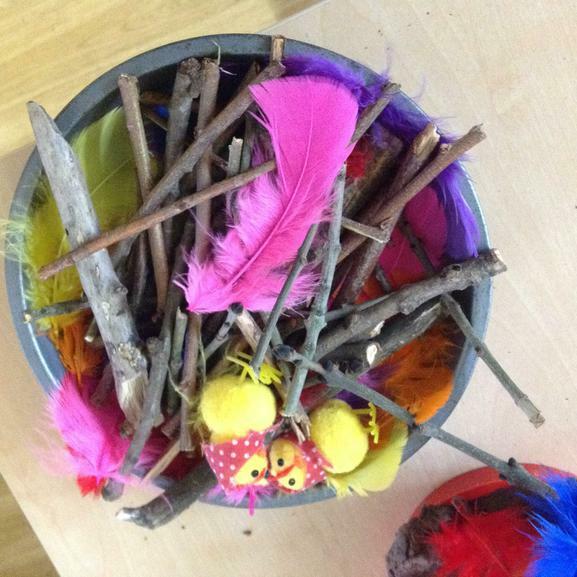 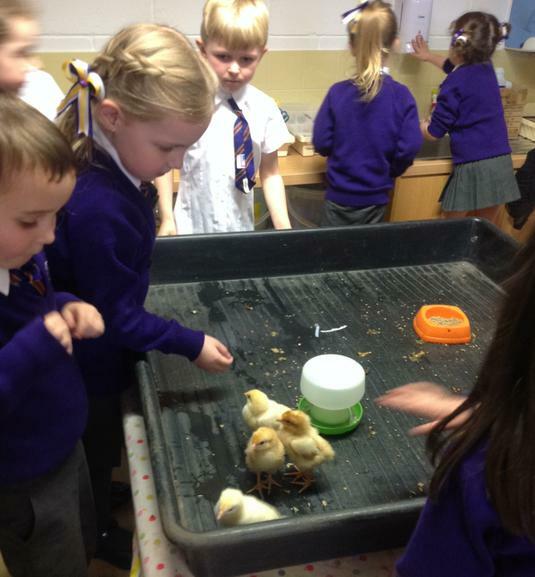 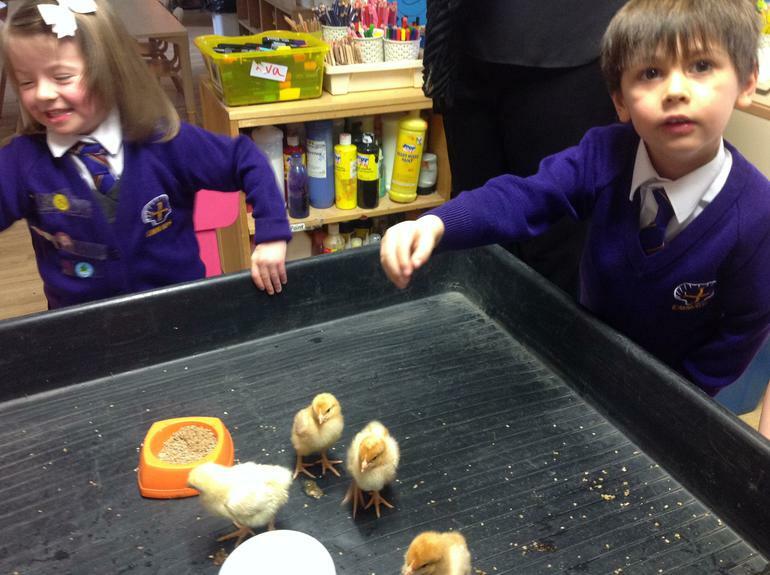 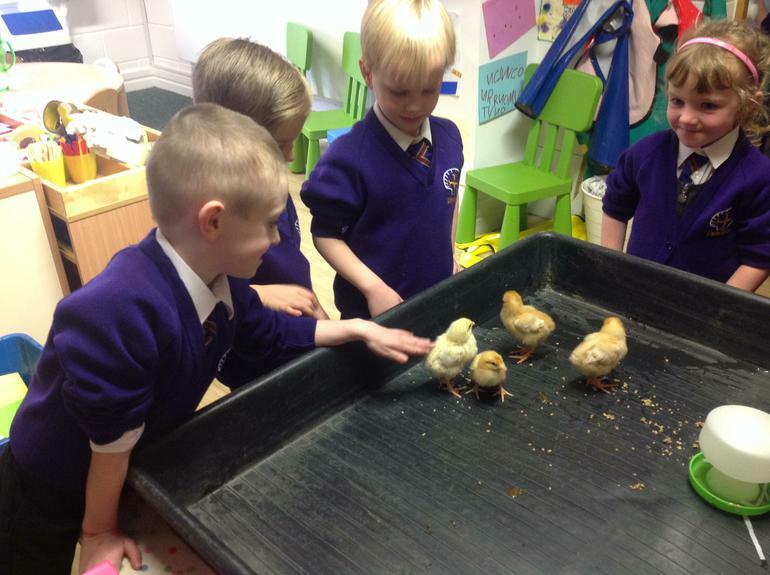 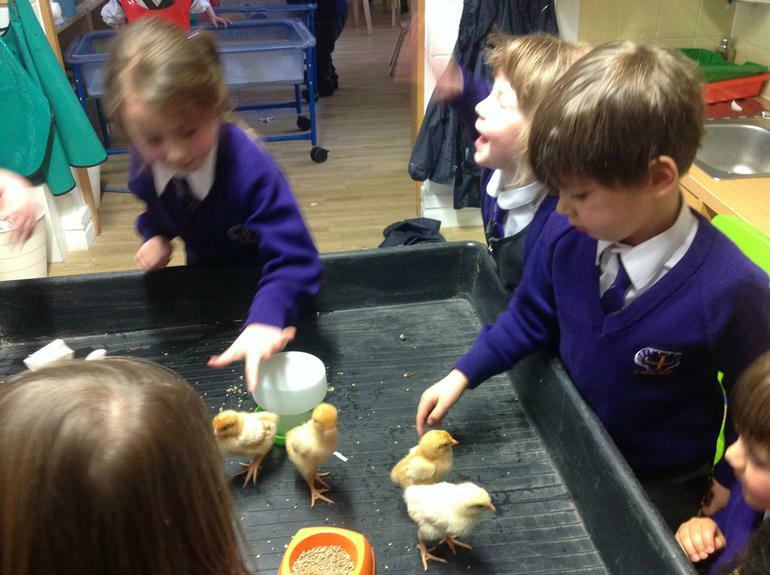 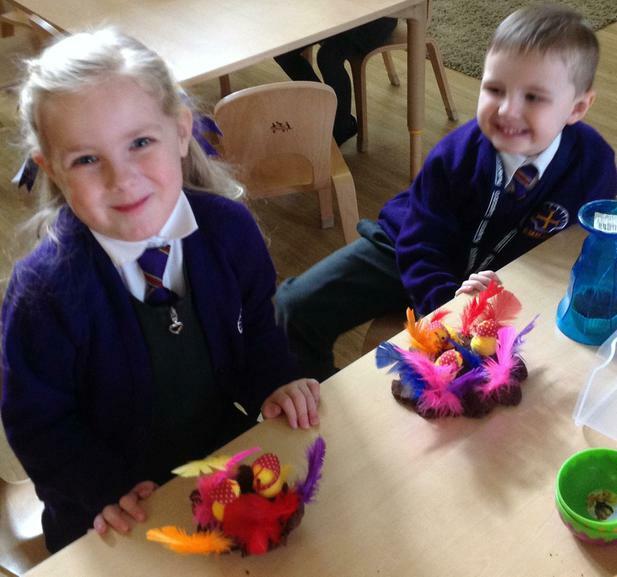 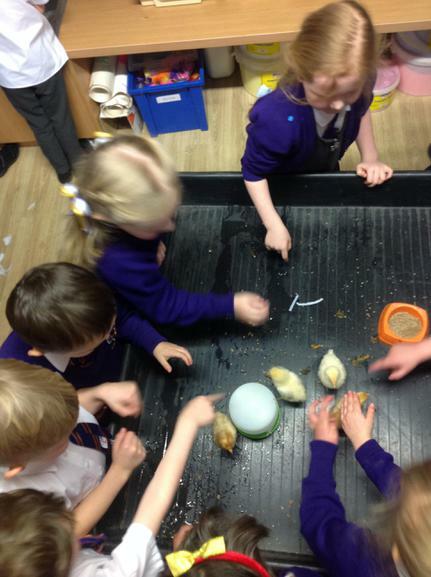 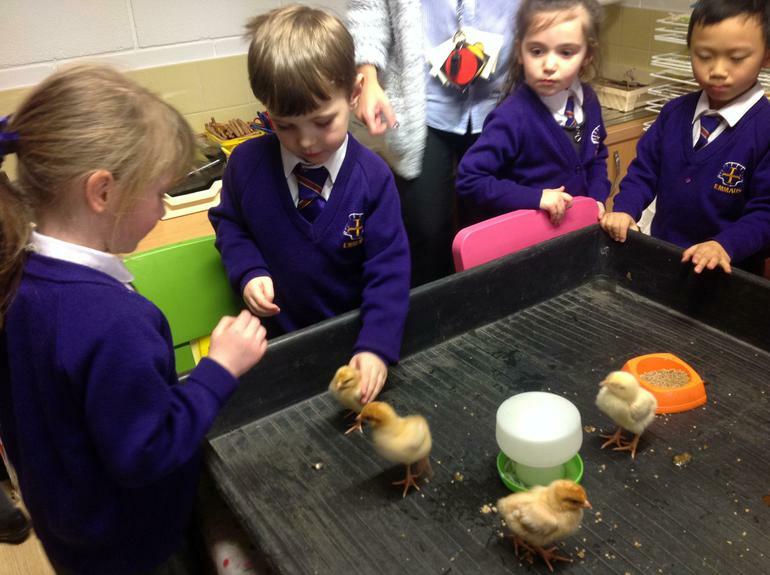 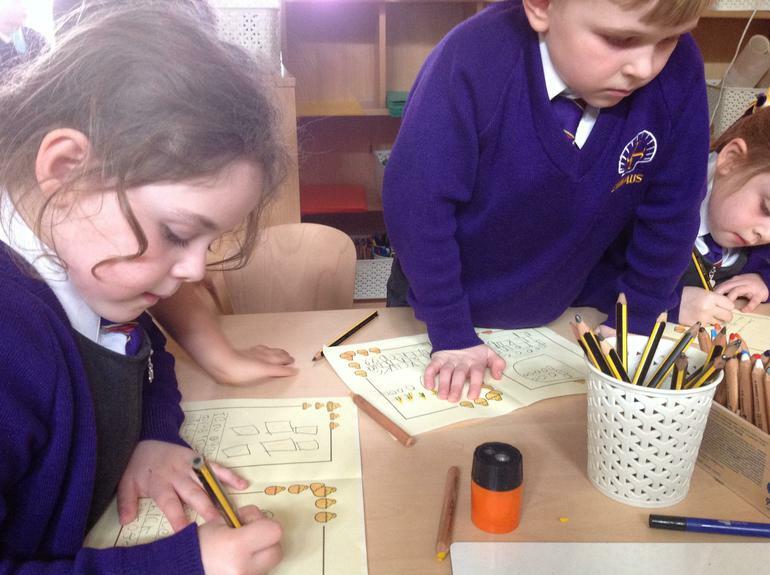 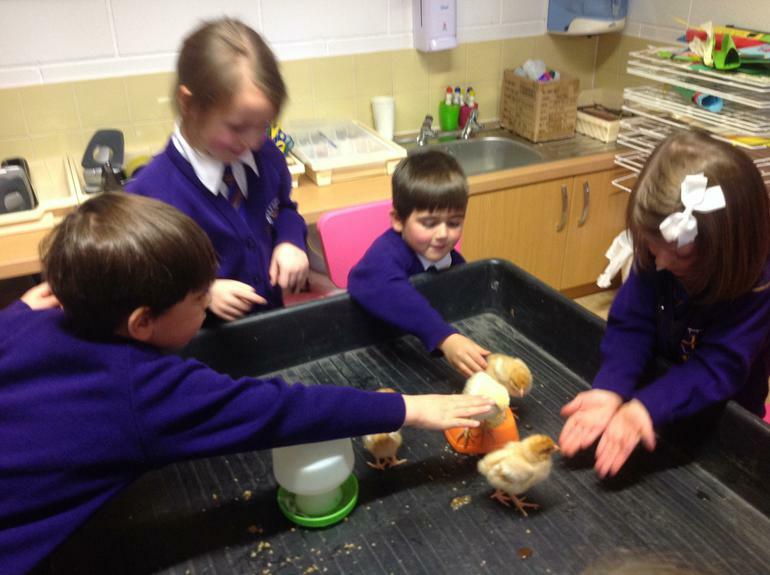 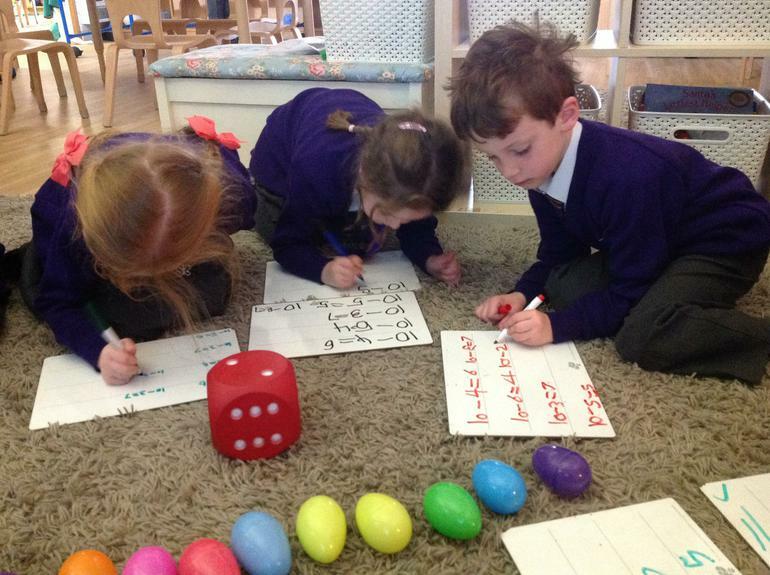 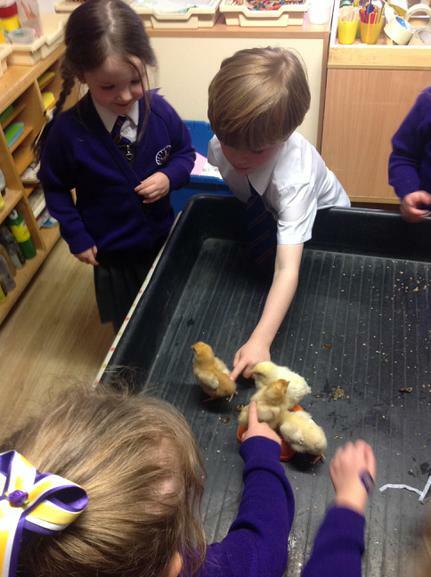 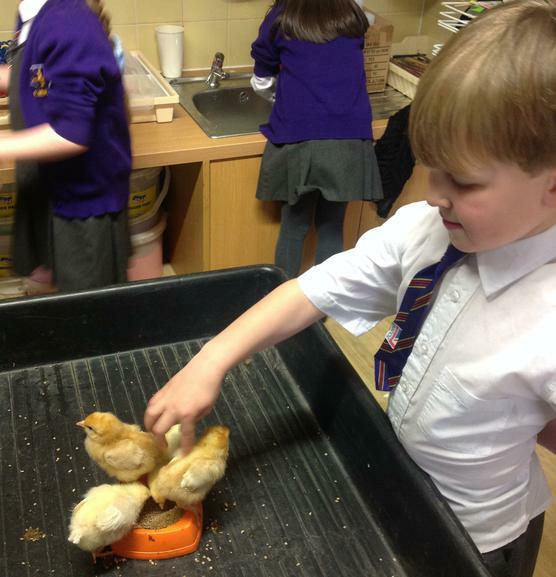 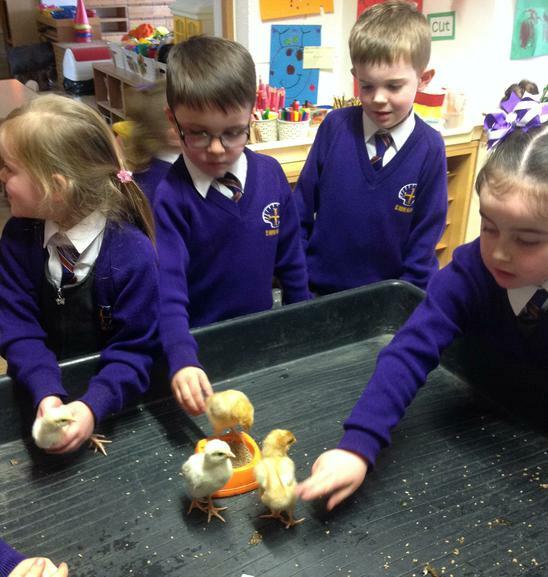 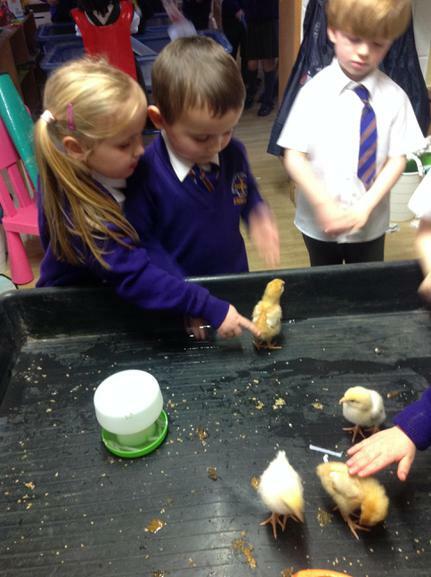 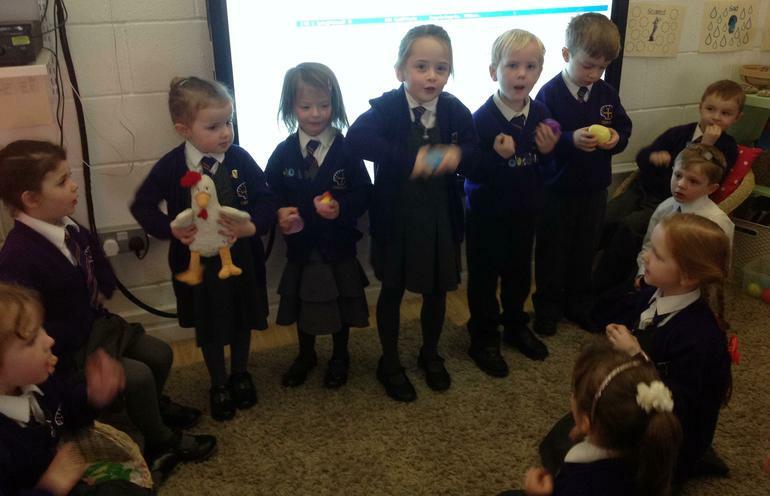 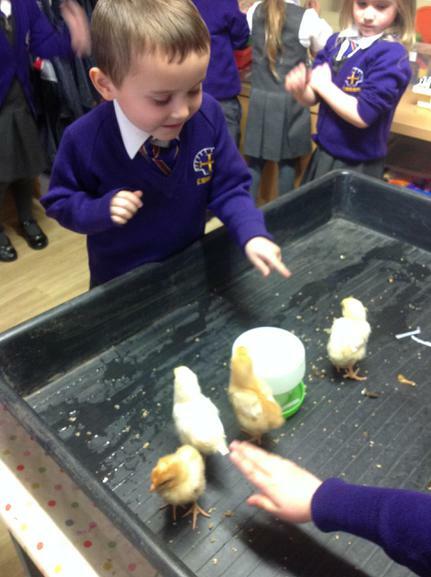 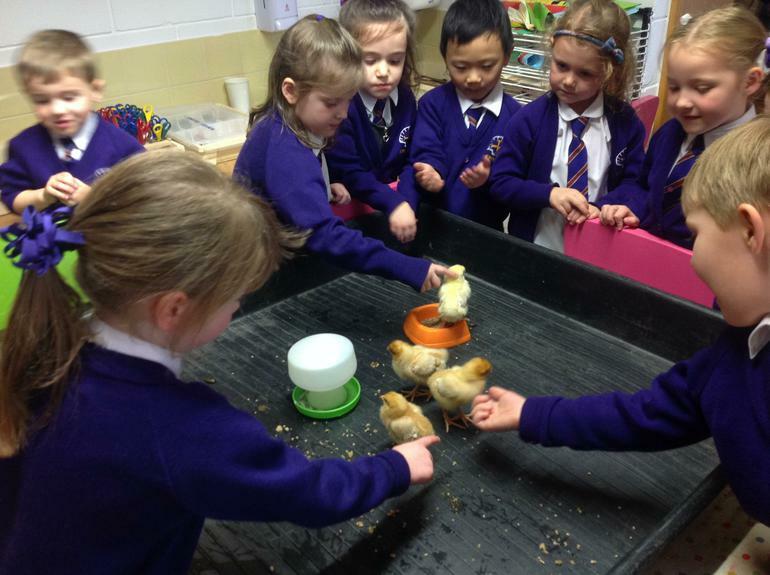 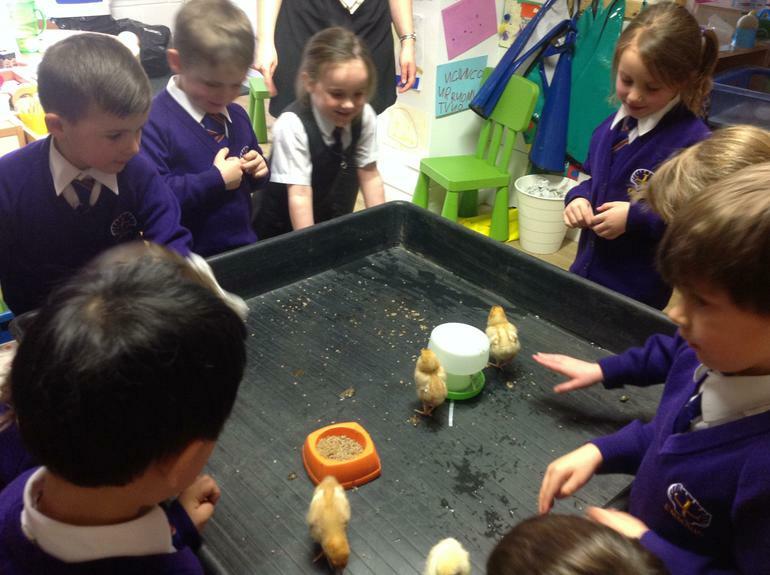 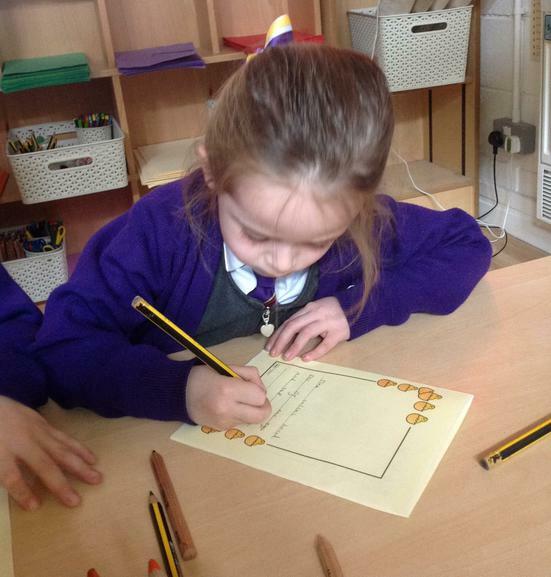 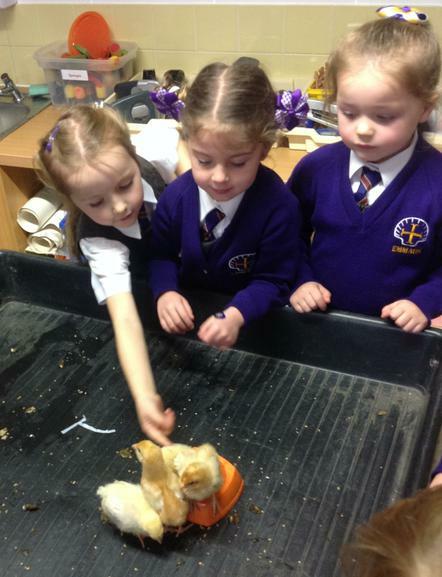 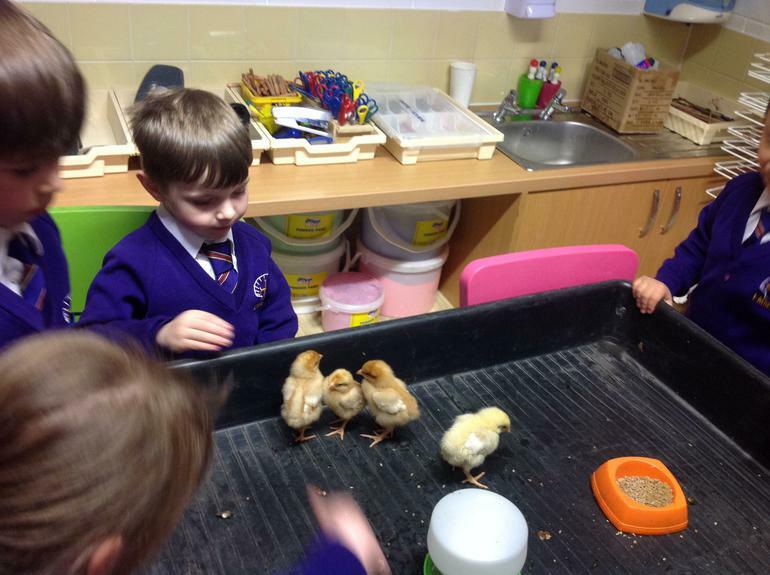 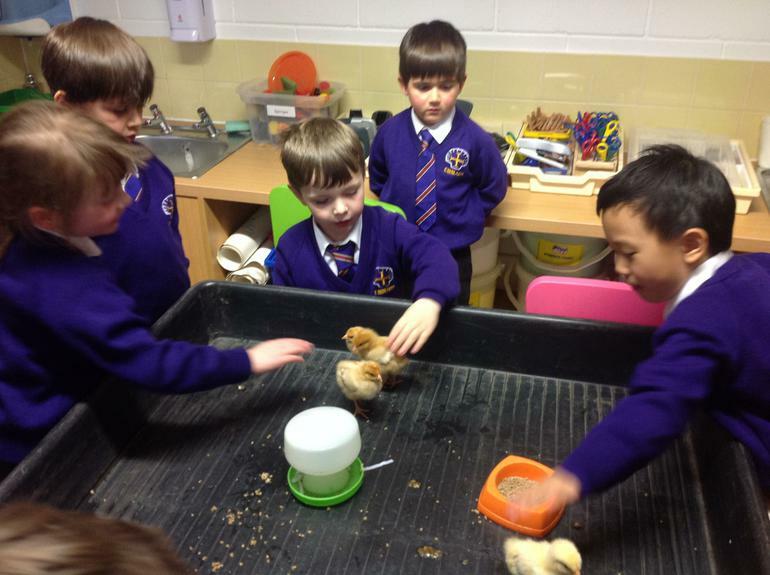 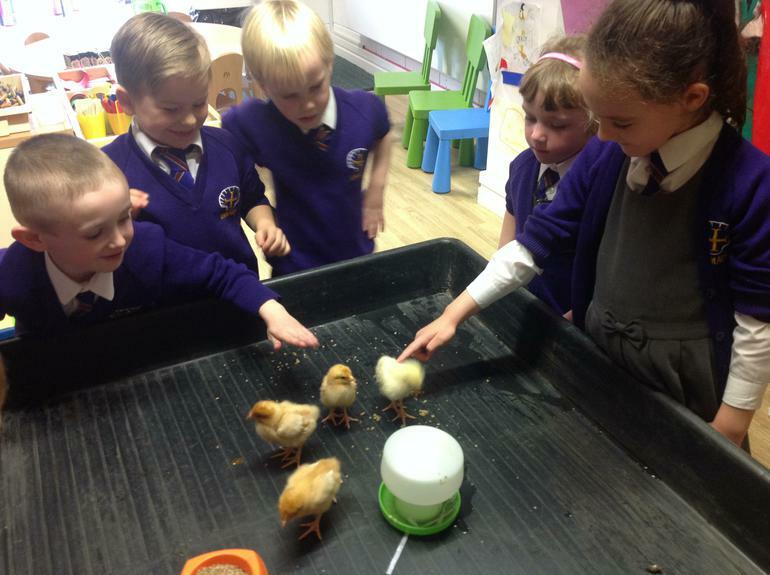 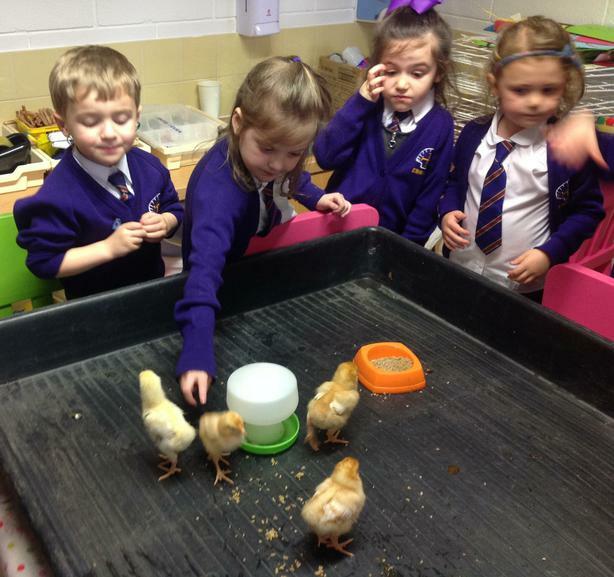 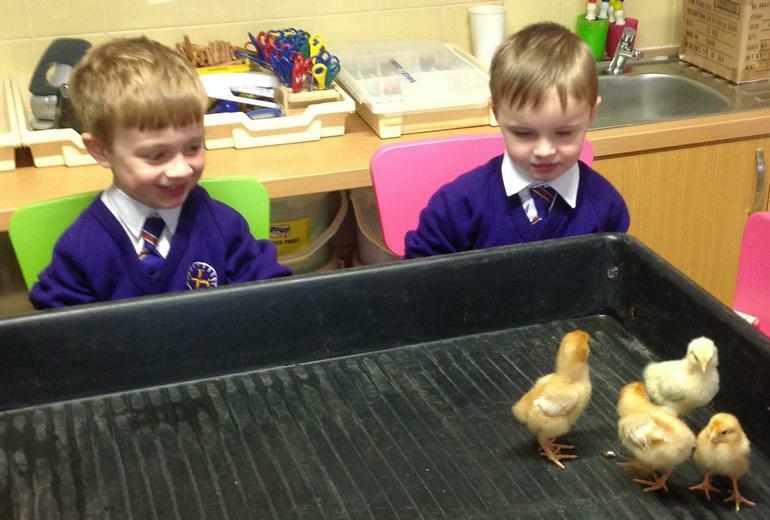 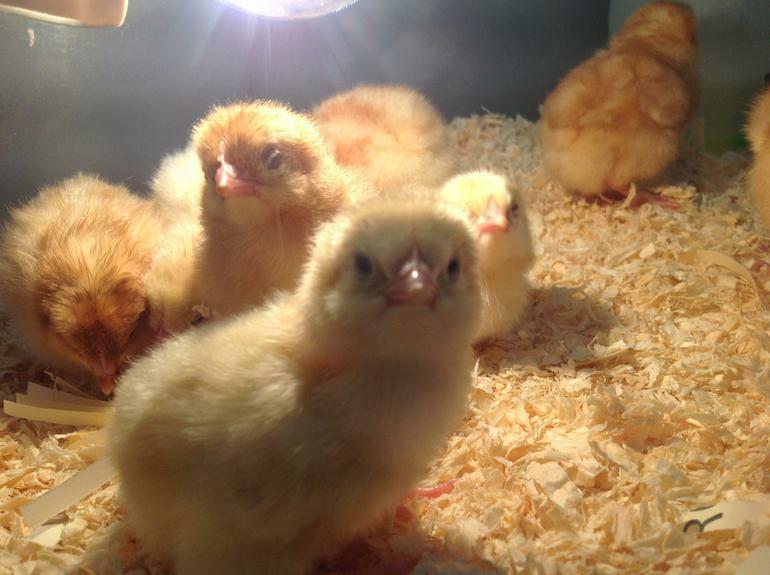 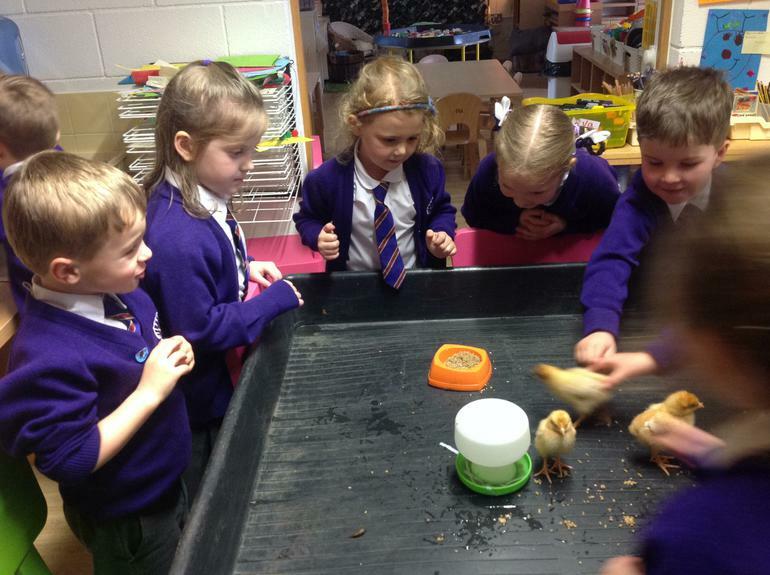 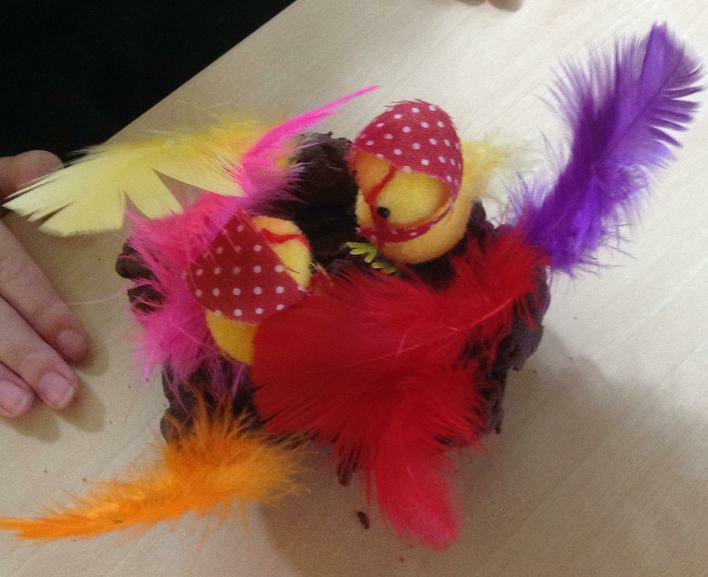 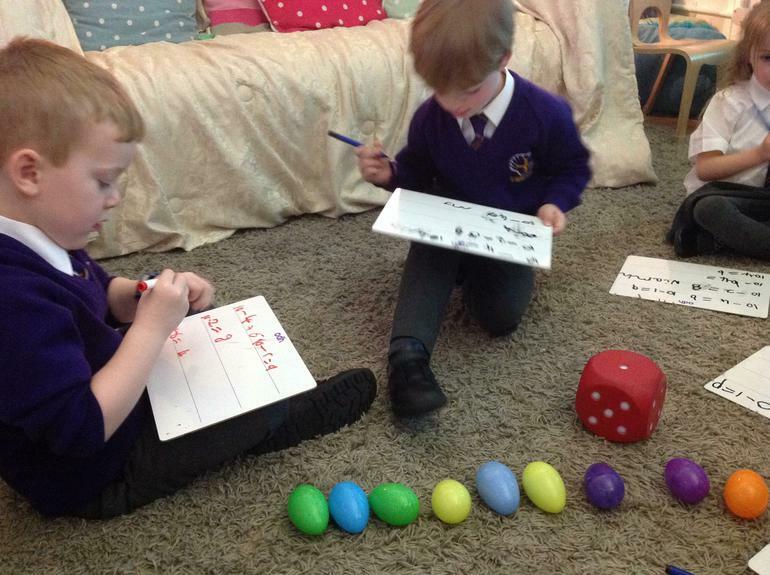 We have been enjoying getting to know each individual chick and we have been amazed at how quickly they are growing! 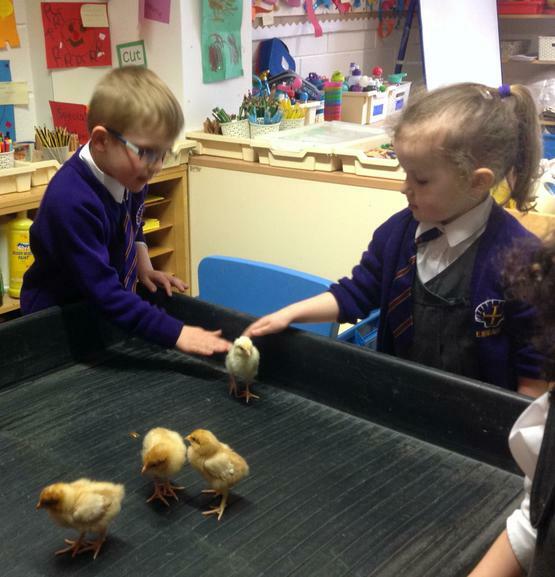 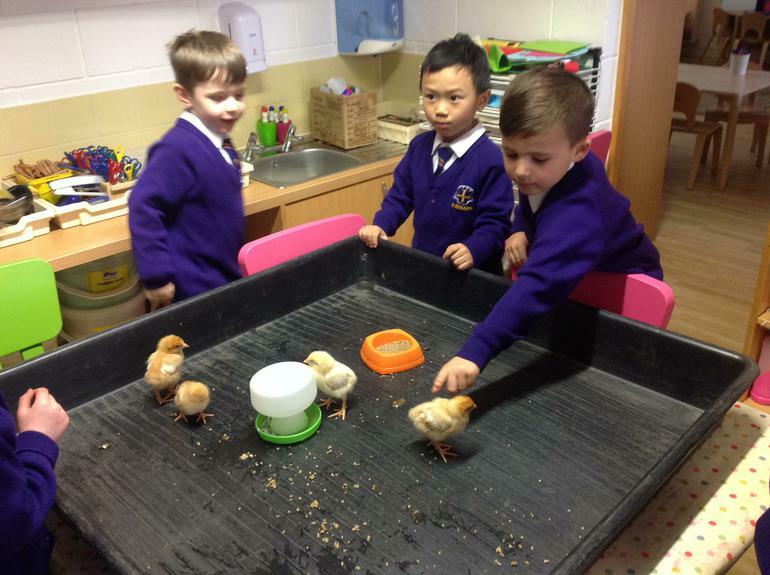 We are taking our responsibilities very seriously; making sure they are clean, with fresh food and water to peck at every day. 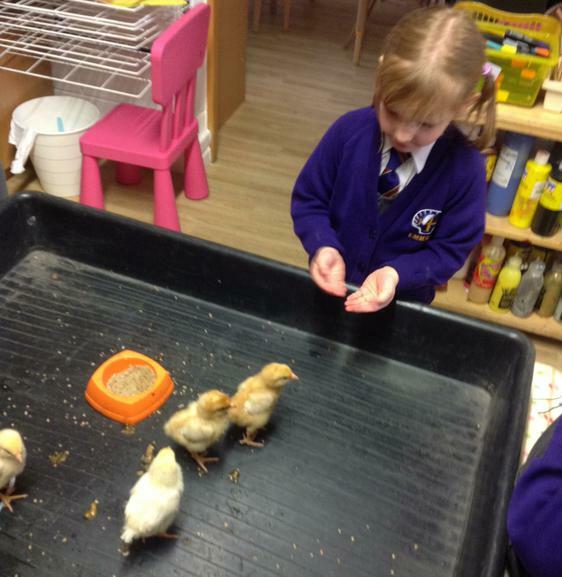 1 week on...growing bigger every day!